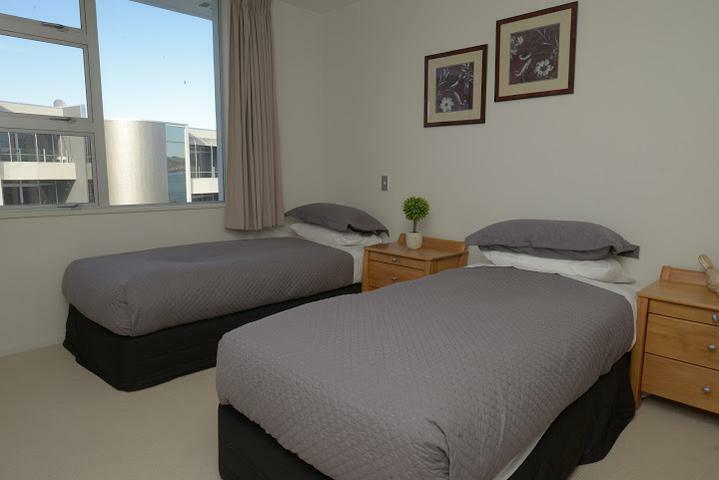 This apartment offers three bedrooms including a bunk room. 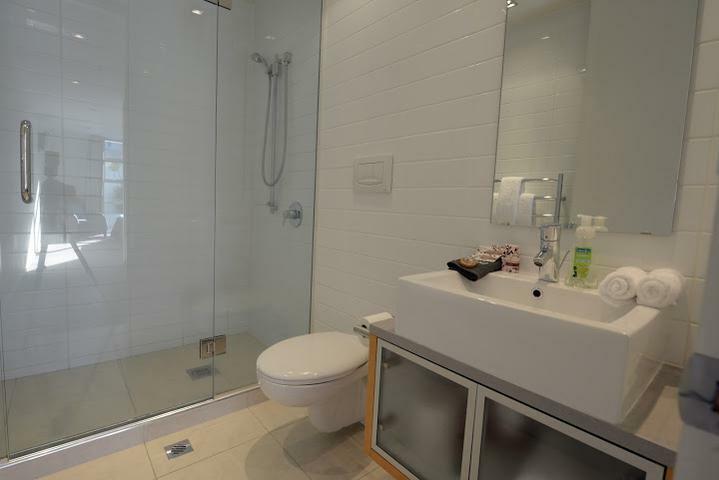 It has an en-suite and a separate bathroom, offers facilities to cater for all guest configurations. 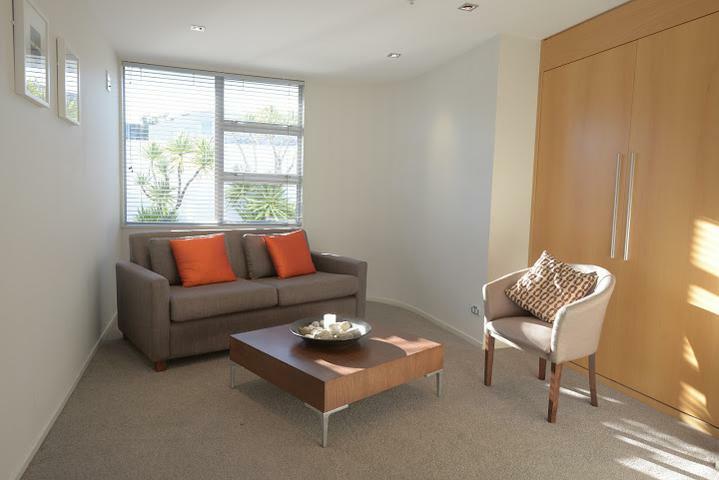 Super Modern interior, kitchen complete with high quality integrated appliances, stereo, TV, full laundry facilities. Quality furnishings throughout, coupled with a private sauna and gymnasium within the complex make for a wonderful holiday environment. 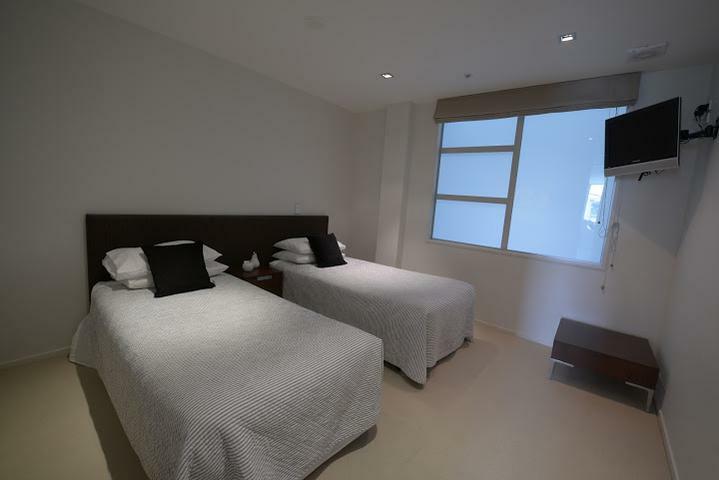 This apartment offers three bedrooms including a bunk room. 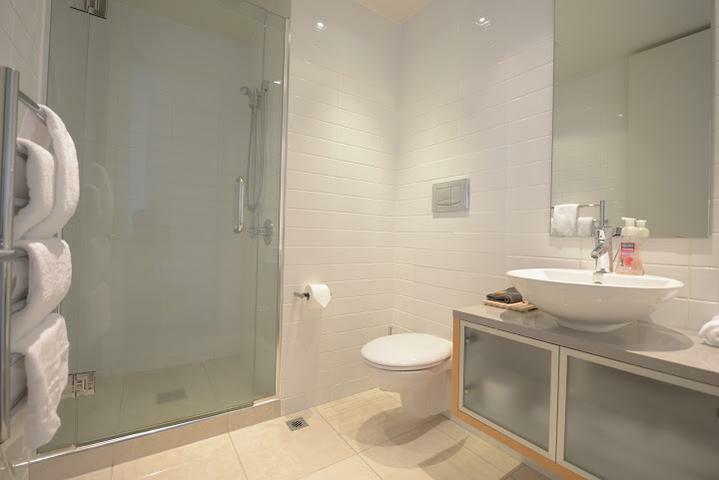 It has an en-suite and a separate bathroom, offers facilities to cater for all guest configurations. 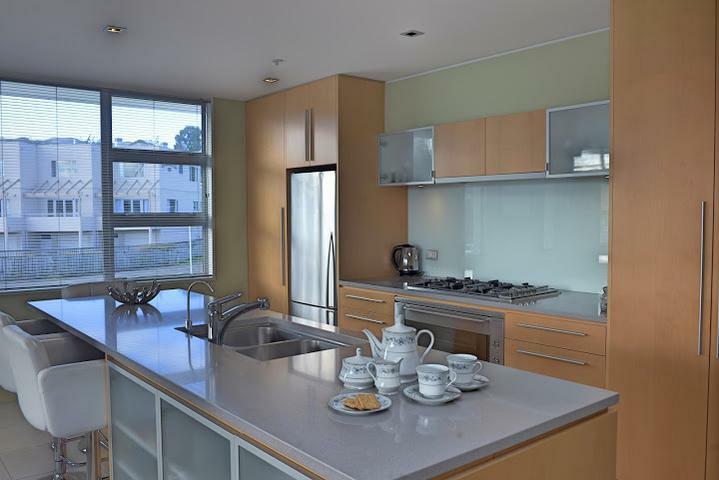 Super Modern interior, kitchen complete with high quality integrated appliances, stereo, TV, full laundry facilities. Quality furnishings throughout, coupled with a private sauna and gymnasium within the complex make for a wonderful holiday environment. 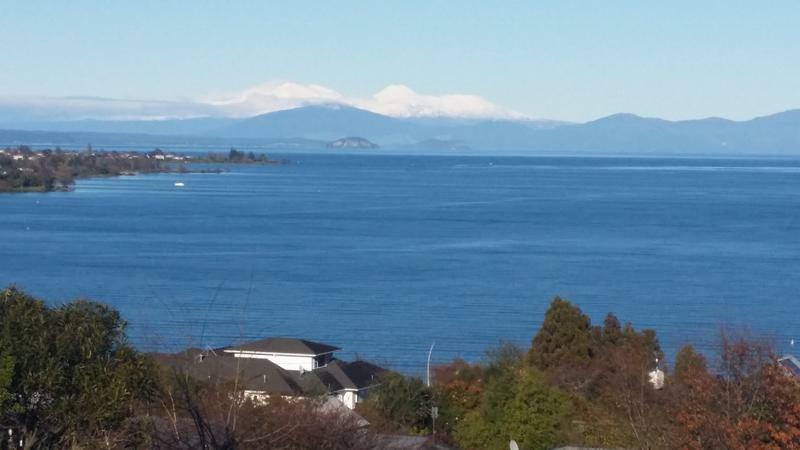 20 minute walk to town along the shores of Lake Taupo, 5 minute drive to town. 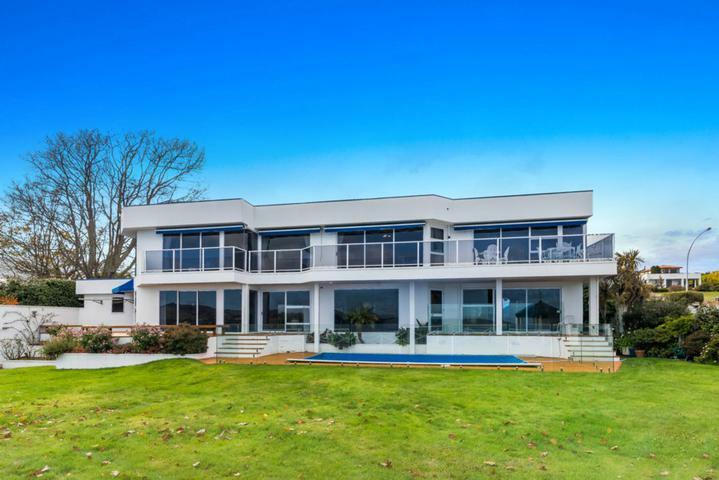 Step out the complex's front door and you are on Taupo's own hot water beach. Enter the car park through the ramp entrance. Wave the grey swipe in the vicinity of the black box on your right hand side. “Beep Beep” The red light will flash green and the door will open to the undercover car parks; Apartment 3 has two car parks on the immediate right hand side of the basement ( please leave enough space for other guests to access the Rubbish room!!). Take the entry door nearest your car parks to the lift, lobby and stairs for Apartment 3. Apartment 3 is on LEVEL 1. Use the main key to enter apartment. To exit the car park the doors will open automatically. With Grey swipe – To access the apartments from Lowell Place and the beach gate, use your grey entry swipe key to open the door/gate. The black monitor is on the wall to the right of the door/gate. Wave the grey swipe in the vicinity of the black box on your right hand side. “Beep Beep” The red light will flash green and the door/gate will open. With Intercom System – There is an intercom system at the main gate for guest access. To release the glass doors, press the button with a “key” symbol. To leave via the door/gate press the green touch pad/button on the left. This will release the door. This property is accessible via self entry. You will be sent self entry instructions two days prior to your arrival that will explain how to access the keys. 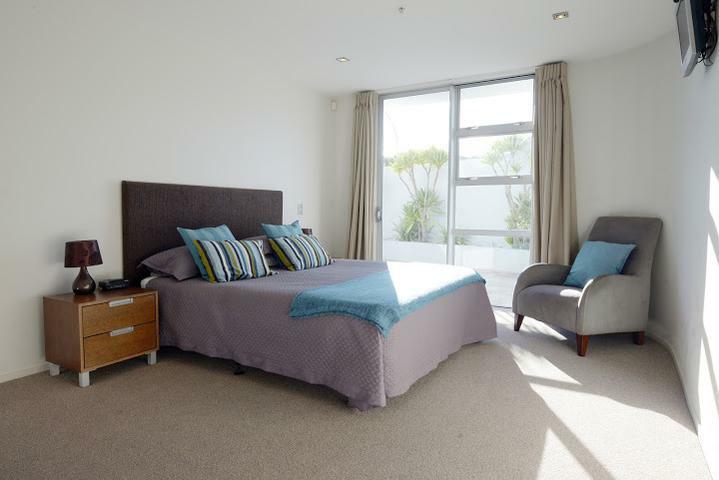 This property is not serviced on a daily basis but are serviced at the end of your stay. All linen is provided and upon departure, please can you ensure all dishes are done (dishwasher emptied) and all rubbish is removed. 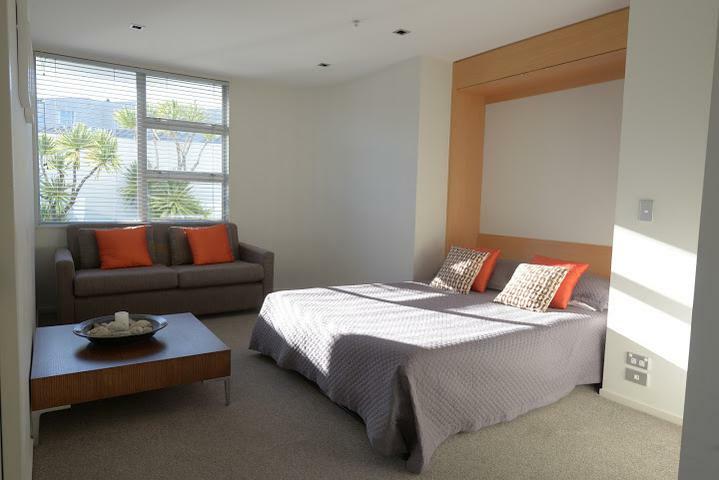 Situated right on the lake at Taupo's very own hot water beach, Waimahana apartment 4 is a stylish, spacious, luxury apartment. 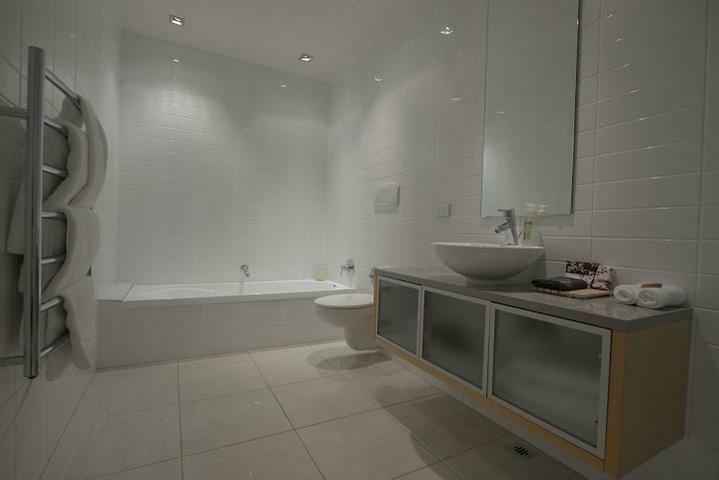 Three bedrooms, en-suite and a separate bathroom. Sleeps Six. 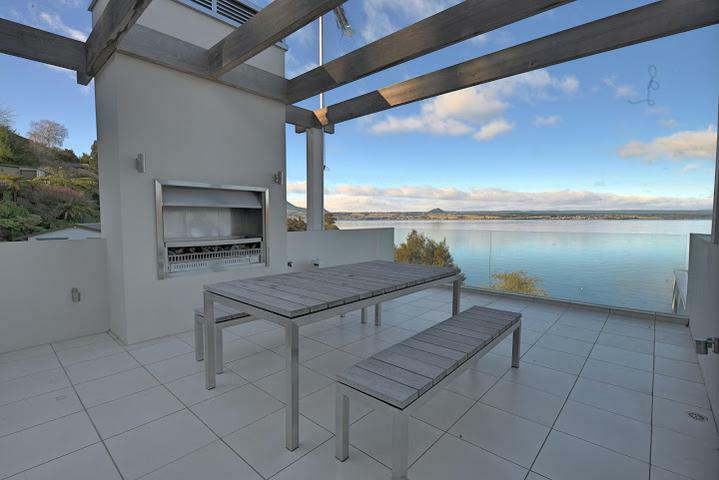 Enjoy spectacular lake views, this exclusive apartment offers fantastic indoor/outdoor living with its own balconies, overlooking the pool and located on the absolute lakefront of Taupo. 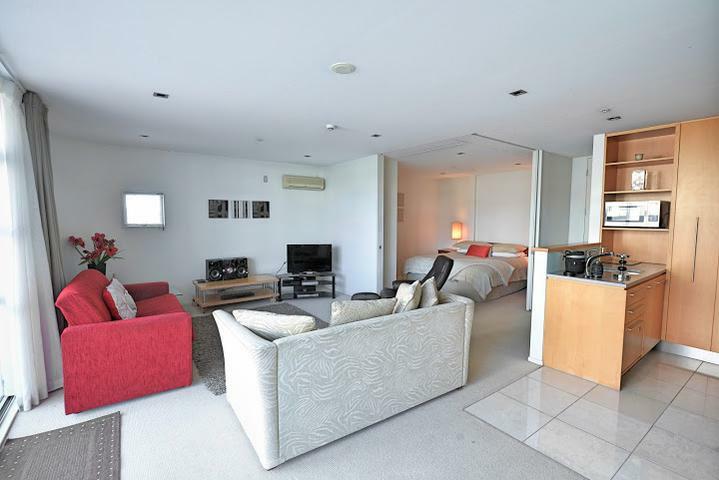 Situated right on the lake at Taupo's very own hot water beach, Waimahana apartment 4 is a stylish, spacious, luxury apartment. Three bedrooms, en-suite and a separate bathroom. Sleeps Six. 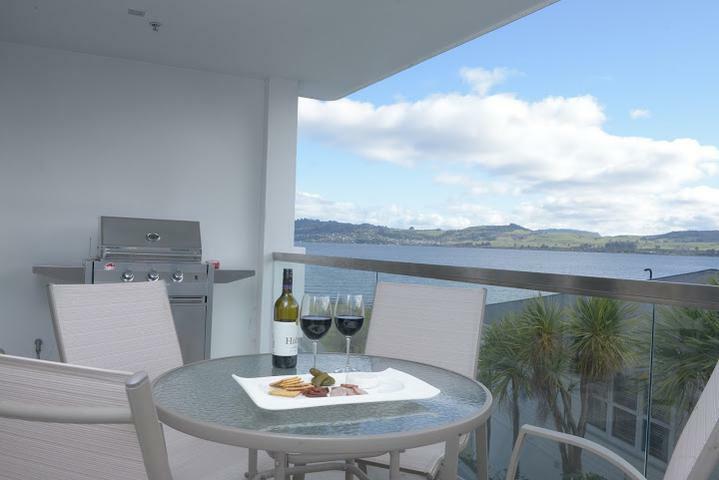 Enjoy spectacular lake views, this exclusive apartment offers fantastic indoor/outdoor living with its own balconies, overlooking the pool and located on the absolute lakefront of Taupo. Accessing and Departing the Car Park. Enter the car park through the ramp entrance. Wave the grey swipe in the vicinity of the black box on your right hand side. “Beep Beep” The red light will flash green and the door will open to the undercover car parks. Apartment 4 has two car parks on the far left side of the basement. 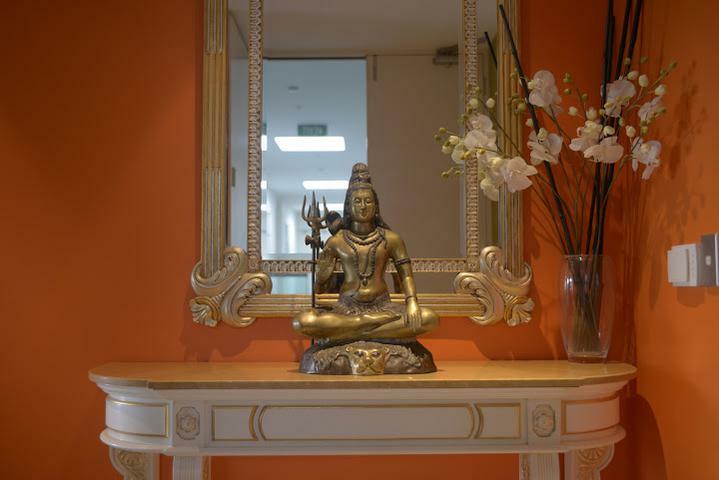 Take the entry door nearest your car parks to the lift, lobby and stairs for apartment 4. Apartment 4 is on LEVEL 1. Pedestrian Access to the Apartment. Spacious open plan living with a modern kitchen complete with high quality integrated appliances, stereo, Sky TV, WI FI, full laundry facilities, quality furnishings throughout, coupled with a sauna and gymnasium within the complex make for a wonderful holiday environment. Direct pool access and fantastic outdoor patio. 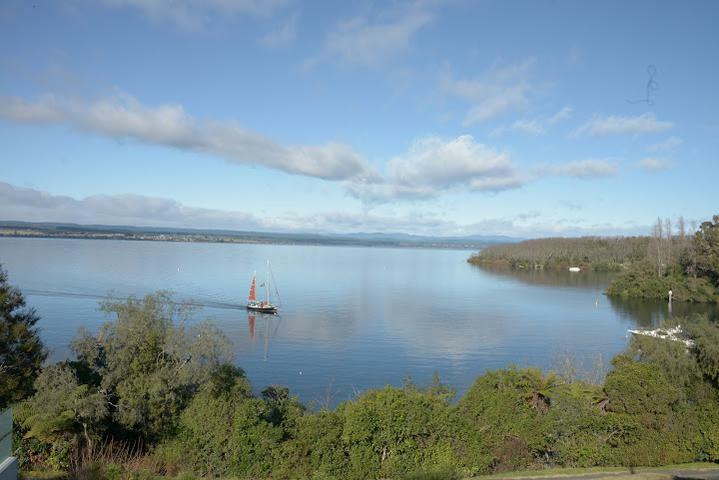 Vistas of the Taupo township lit across sparkling waters at night, offering great shopping and a host of wonderful cafes and restaurants, only minutes away by car or a stroll along the lakefronts lions walk. Spacious open plan living with a modern kitchen complete with high quality integrated appliances, stereo, Sky TV, WI FI, full laundry facilities, quality furnishings throughout, coupled with a sauna and gymnasium within the complex make for a wonderful holiday environment. Direct pool access and fantastic outdoor patio. 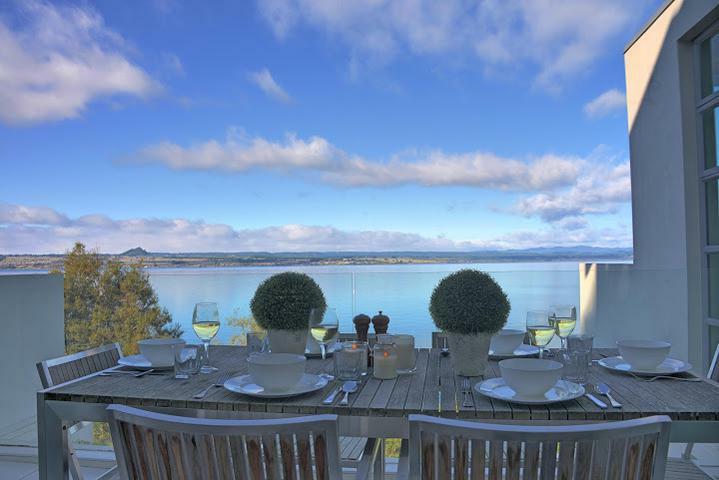 Vistas of the Taupo township lit across sparkling waters at night, offering great shopping and a host of wonderful cafes and restaurants, only minutes away by car or a stroll along the lakefronts lions walk. Enter the car park through the ramp entrance. Wave the grey swipe in the vicinity of the black box on your right hand side. “Beep Beep” The red light will flash green and the door will open to the undercover car parks; Apartment 5 has one car park on the far left side of the basement. Take the entry door nearest your car parks to the lift, lobby and stairs for apartment 5. Apartment 5 is on LEVEL 1. 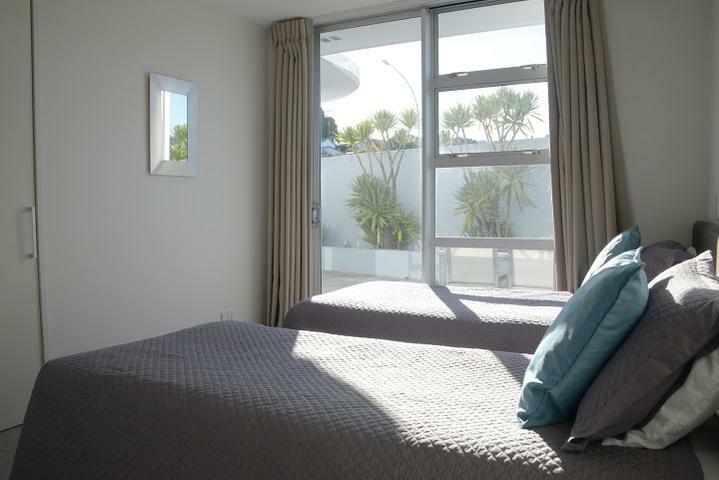 Waimahana apartment 7 is a modern self contained apartment. The perfect spot for a couple's getaway. 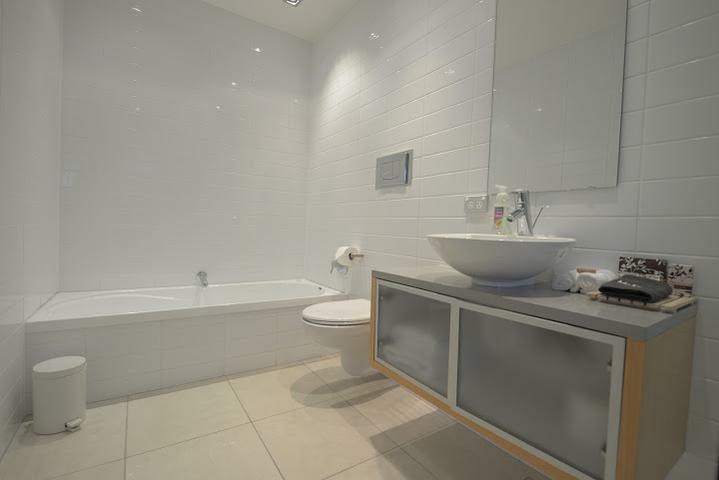 Luxuriously appointed this one bedroom apartment features modern furnishings. There is a King Bed ( and fold out sofa bed), living area and Full kitchen and laundry facilities. It also has its own patio with outdoor furniture. The geothermally heated pools and spa are suburb as are the gymnasium and Sauna. There is direct lake access to Taupo's own Hot Water Beach. 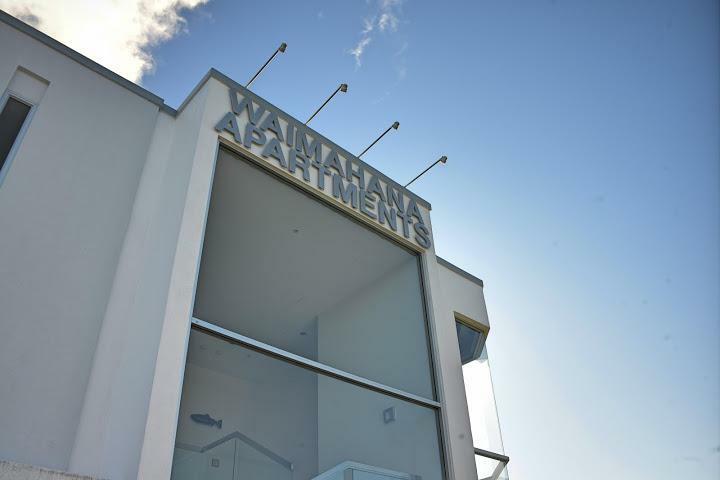 Waimahana apartment 7 is a modern self contained apartment. The perfect spot for a couple's getaway. 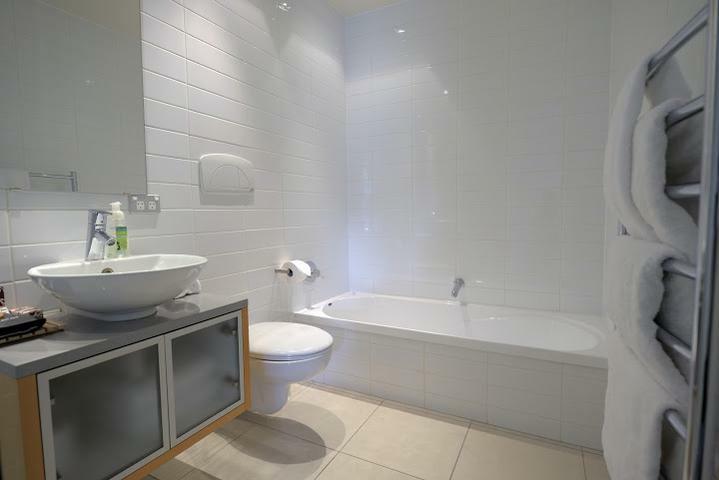 Luxuriously appointed this one bedroom apartment features modern furnishings. 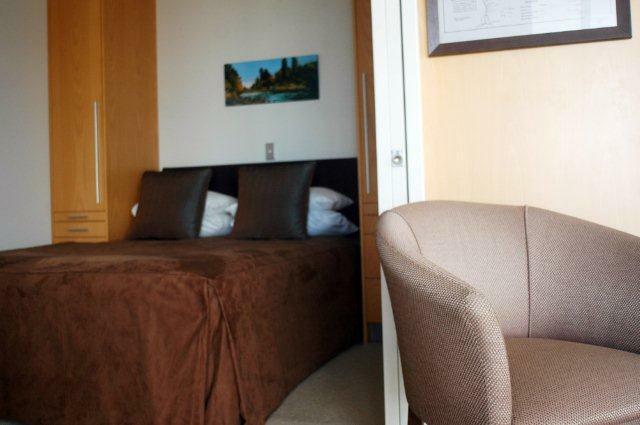 There is a King Bed ( and fold out sofa bed), living area and Full kitchen and laundry facilities. It also has its own patio with outdoor furniture. There is direct lake access to Taupo's own Hot Water Beach. Enter the car park through the ramp entrance. Wave the grey swipe in the vicinity of the black box on your right hand side. “Beep Beep” The red light will flash green and the door will open to the undercover car parks; Apartment 7 has one car park on the left side of the basement. Take the entry door nearest your car parks to the lift, lobby and stairs for apartment 7. Apartment 7 is on LEVEL 1. 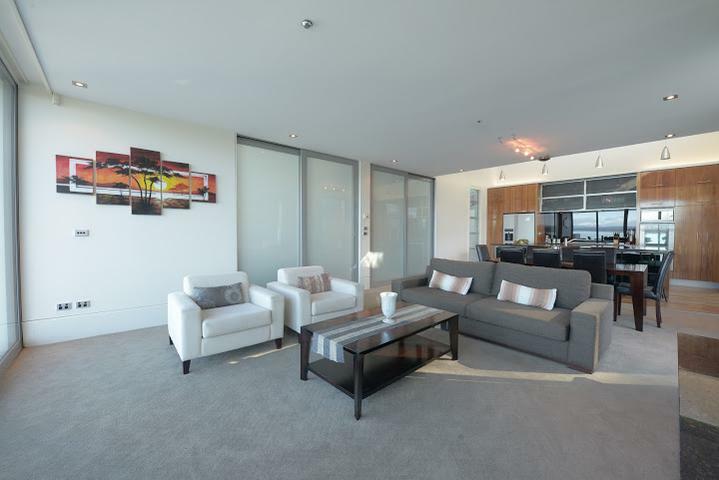 A superb penthouse apartment. Amazing lake views. King Master bed, Queen second bedroom and a twin room. The complex has a 15 metre outdoor geothermally heated swimming pool and large hot tub with fountain. Sauna and gymnasium. Secure double undercover carparks. Private and luxurious apartment. Just 10 minutes walk to the town. Centrally located for local activities. A superb holiday spot! What memories are made of! A superb penthouse apartment. Amazing lake views. King Master bed, Queen second bedroom and a twin room. The complex has a 15 metre outdoor geothermally heated swimming pool and large hot tub with fountain. Sauna and gymnasium. Just 10 minutes walk to the town. Centrally located for local activities. A superb holiday spot! What memories are made of! Enter the car park through the ramp entrance. Wave the grey swipe in the vicinity of the black box on your right hand side. “Beep Beep” The red light will flash green and the door will open to the undercover car parks. Apartment 8 has two car parks on the far right side of the basement. Take the entry door nearest your car parks to the lift lobby and stairs for apartment 8. Apartment 8 is on LEVEL 2. Please note that this apartment does not have air conditioning. 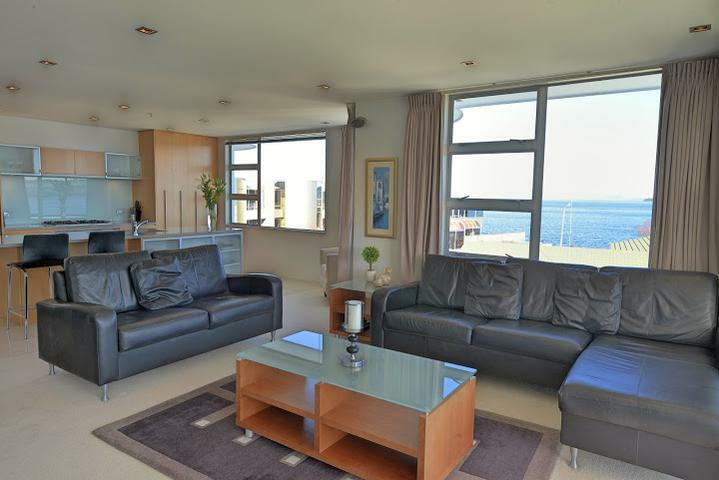 If your idea of a holiday is to wake up in the comfort of a Waterfront Penthouse where every room is flooded with sunlight and your balcony faces north for lake views and all day sun, then this apartment is for you!! A three bedroom, two bathroom, penthouse apartment. One, two and three bedroom tariffs available. Super King master bed. Queen bed and two singles. Vistas of Taupo township brilliantly lit across the sparkling waters at night. 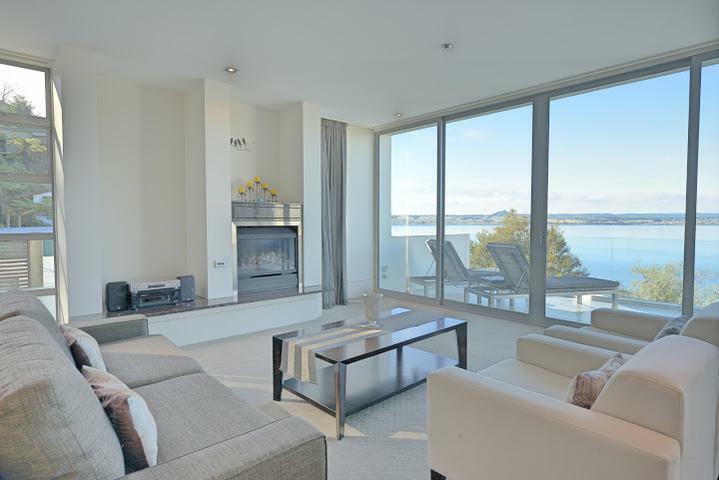 If your idea of a holiday is to wake up in the comfort of a Waterfront Penthouse where every room is flooded with sunlight and your balcony faces north for lake views and all day sun, then this apartment is for you!! A three bedroom, two bathroom, penthouse apartment. One, two and three bedroom tariffs available. Super King master bed. Queen bed and two singles. Vistas of Taupo township brilliantly lit across the sparkling waters at night. •15m Pool and spa facility. 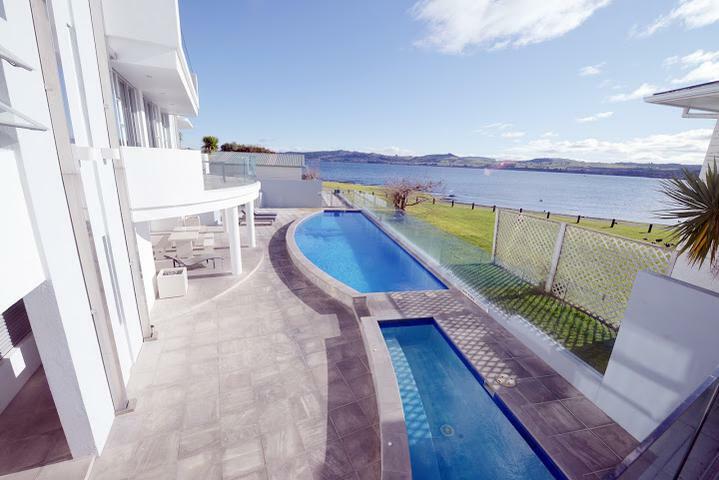 Direct access onto Taupo's Hot Water beach. •No roads to cross to the lake making it safe for children. •46” LED TV with Home Theatre, Blue Ray, MY SKY and DVD. •42” LED TV with second SKY box in second living room / Queen bdm. Ideal for groups, children, and computer games. •32” LED TV in Master bedroom. •Superior comfort beds with cotton linen. •Fully equipped kitchen with gas hobs and Smeg oven. •Two spacious bathrooms. Full bath with separate shower. 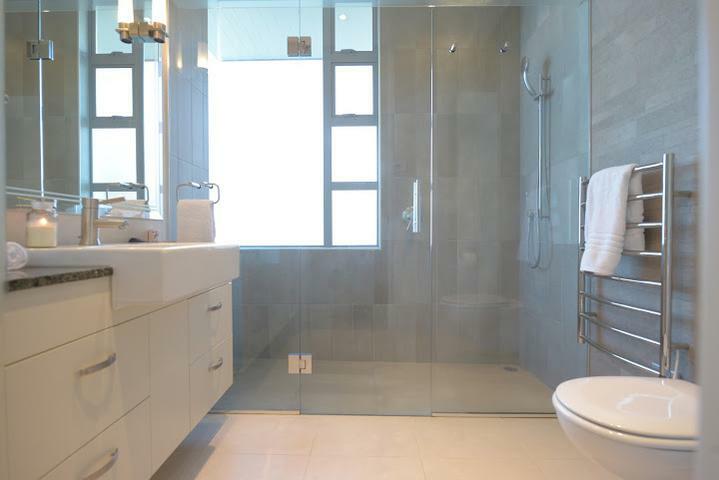 •Ensuite off master bedroom is super sized with twin shower. 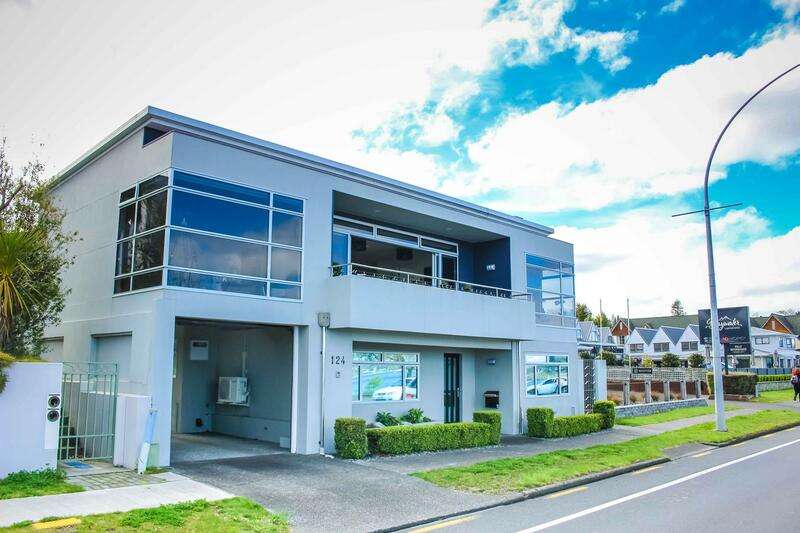 •Steps away from a paved lakeside scenic walking/cycle track which leads straight to town. 5 minute drive to town or 30 minute walk along the stunning lake front. 5 minute drive to the airport. Espresso cove café located right next door. 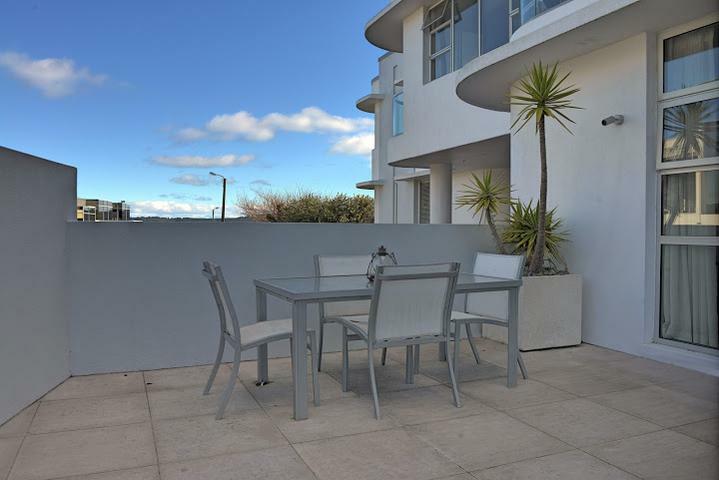 Within close proximity to a number of restaurants and tourist activities. Enter the car park through the ramp entrance. Wave the grey swipe in the vicinity of the black box on your right hand side. “Beep Beep” The red light will flash green and the door will open to the undercover car parks; Apartment 11 has one car park on the left side of the basement. Take the entry door nearest your car parks to the lift, lobby and stairs for apartment 11. Apartment 11 is on LEVEL 2. 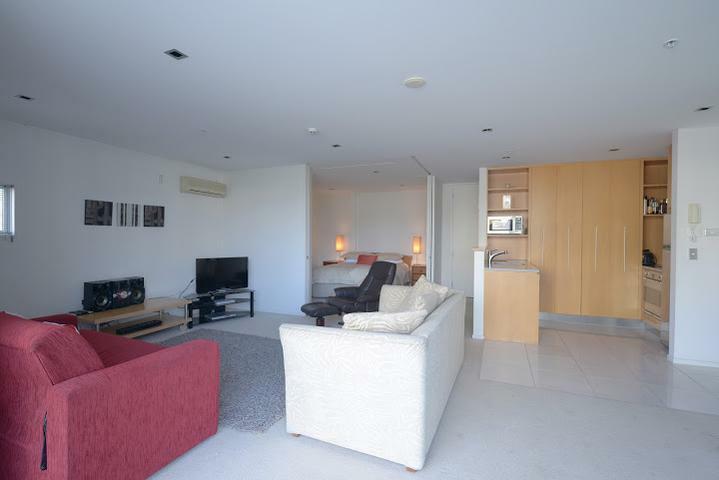 Waimahana apartment 12 is a modern self contained apartment. The perfect spot for a couple's getaway. 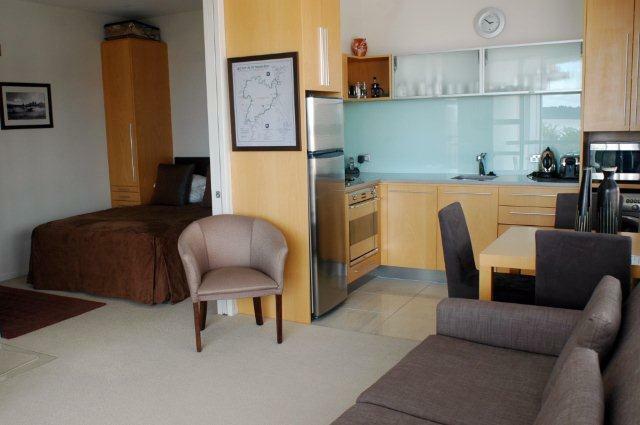 Luxuriously appointed this one bedroom apartment features modern furnishings. There is a King Bed ( and fold out sofa bed), living area and Full kitchen and laundry facilities. It also has its own patio with outdoor furniture. The geothermally heated pools and spa are suburb as are the gymnasium and Sauna. There is direct lake access to Taupo's own Hot Water Beach. 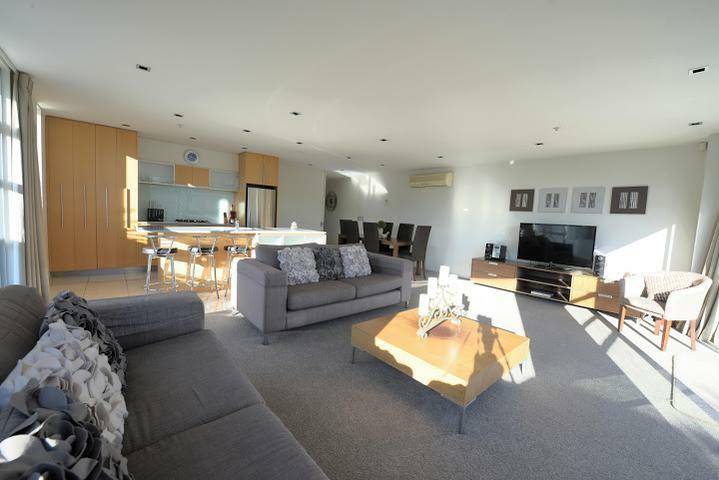 Waimahana apartment 12 is a modern self contained apartment. Waimahana Apartment 13 is a studio located on the top floor at Waimahana. 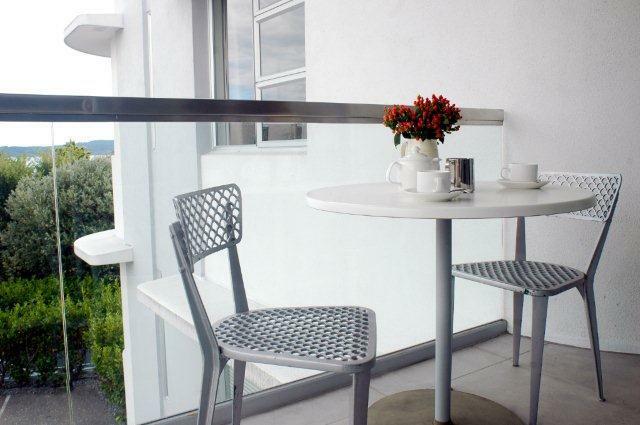 With a private balcony you can relax on your deck and unwind with a view of the lake. 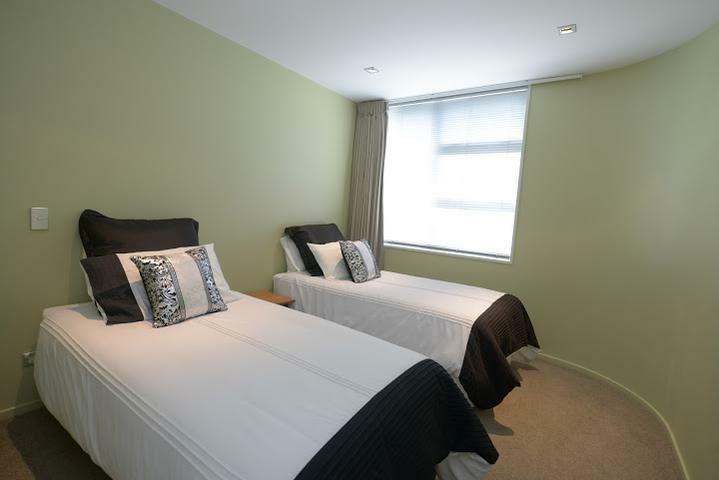 This studio has a fully self contained kitchen, Queen bed and bathroom. Enjoy the communal geothermally heated pool, spa, gym and sauna facilities that Waimahana has to offer. The perfect affordable getaway for solo travellers or couples. Waimahana Apartment 13 is a studio located on the top floor at Waimahana. With a private balcony you can relax on your deck and unwind with a view of the lake. This studio has a fully self contained kitchen, Queen bed and bathroom. Enjoy the communal geothermally heated pool, spa, gym and sauna facilities that Waimahana has to offer. The perfect affordable getaway for solo travellers or couples. 1 x Underground secure carpark provided. Enter the car park through the ramp entrance. Wave the grey swipe in the vicinity of the black box on your right hand side. “Beep Beep” The red light will flash green and the door will open to the undercover car parks. Apartment 13 has one car park on the far left side of the basement. Take the entry door nearest your car park to the lift, lobby and stairs for apartment 13. Apartment 13 is on LEVEL 2. 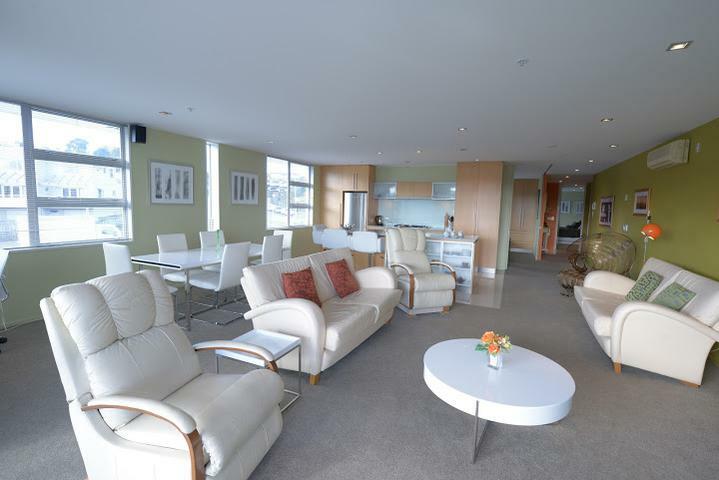 Taupo Penthouse Apartment is a spacious three bed room home. 40" T.V with Sky and DVD function. Each area of the home can segregate for privacy or open for social gathering. Floor to ceiling sliding glass doors frame the views. Once opened you flow outside to the decking and teak furniture. Absolutely unobstructed views. The Apartment has under floor heating and an ambient gas fire. The Kitchen is state of the art and a focal point of the living area. A chef is available on request. Wine and dine in luxury. 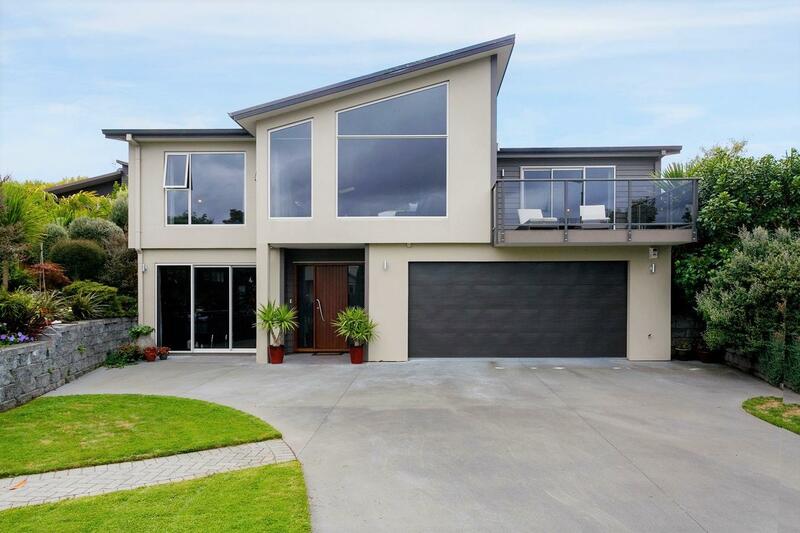 7 minutes drive from Taupo's central business district. 2 minute walk to a lovely swimming bay with a pontoon which will keep the whole family entertained. 4 minute drive to restaurant and dairy. Property Access and Security LEVEL 2. With Grey swipe – To access the apartments from Wily Terrace, use your grey entry swipe key to open the glass door. The black monitor is on the wall to the left of the door. Wave the grey swipe in the vicinity of the black box. “Beep Beep” The red light will flash green and the door can be pulled open. Lift to apartment – enter the lift and much like at the entrance to the main door, wave the grey swipe in the vicinity of the black box on your right hand side. “Beep Beep” The red light will flash green. NOW PRESS THE LEVEL 2 BUTTON AND THIS WILL TAKE YOU DIRECTLY INTO THE APARTMENT. PLEASE NOTE LEVEL “G” AND LEVEL 3 ARE COMMON AREAS AND DO NOT REQUIRE A BEEP BEEP! JUST PUSH THE BUTTON. 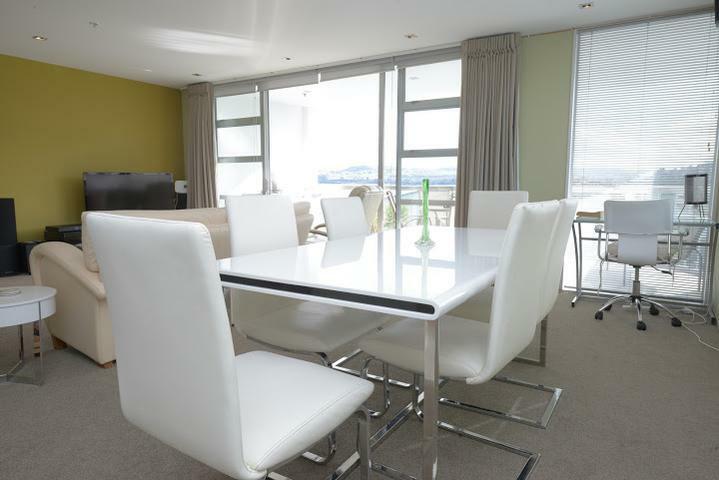 One Ten Apartment is an outstanding lakefront apartment, with panoramic views of Lake Taupo and the snow capped volcanic plateau beyond. Three bedrooms, two and a half bathrooms and very, very spacious. A front and rear deck ensures that you can catch all day sun. Savour the fresh surrounds, stroll along the lake shore in search of cafes and restaurants or discover the many active pursuits this pristine environment offers. Enjoy sunsets, space and privacy in a tourism hub full of tempting attractions. 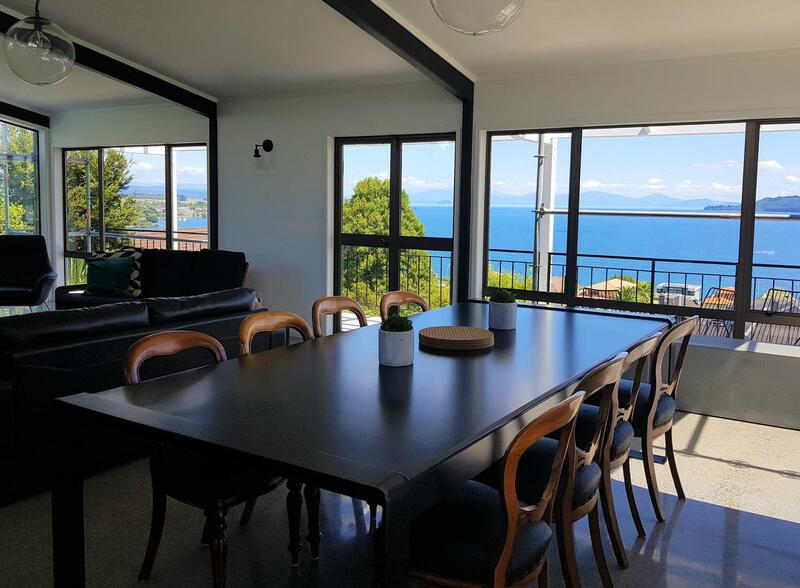 One Ten Apartment is an outstanding lakefront apartment, with panoramic views of Lake Taupo and the snow capped volcanic plateau beyond. Three bedrooms, two and a half bathrooms and very, very spacious. A front and rear deck ensures that you can catch all day sun. Savour the fresh surrounds, stroll along the lake shore in search of cafes and restaurants or discover the many active pursuits this pristine environment offers. Enjoy sunsets, space and privacy in a tourism hub full of tempting attractions. 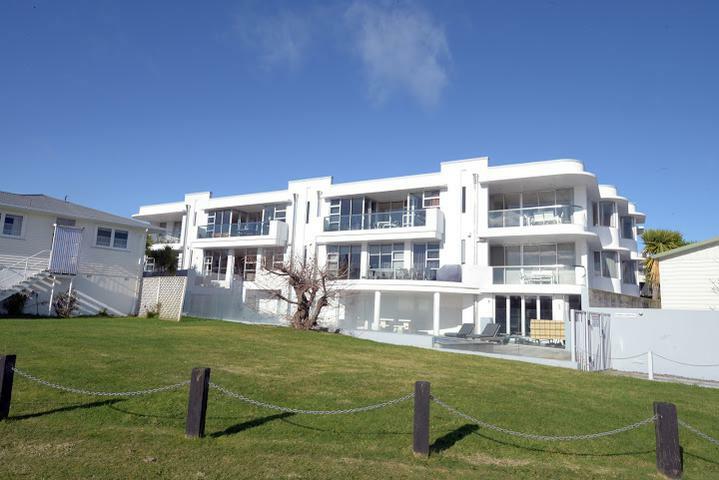 Find true luxury in this three bedroom beautiful home located in tranquil Acacia Bay. With an open fire place and heat pump you will be warm and toasty in winter and kept cool in Summer. Spend your evenings on the front deck gazing out across the beautiful Acacia Bay or shelter in the back patio area cooking the bbq with friends and family. This home is the perfect haven for couples, a group of friends and families alike. Featuring a stunning kitchen with all the bells and whistles and gorgeous views being in the kitchen on holiday won’t be a problem. Feel free to ask us about arranging a chef if you so wish. 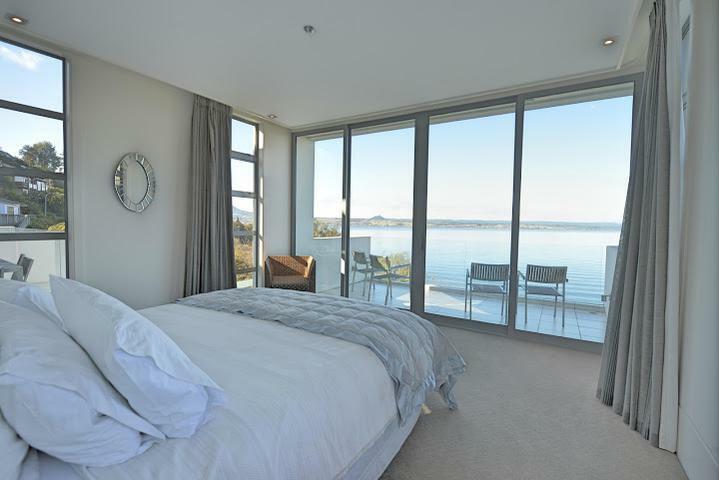 The master bedroom has first class views – what away to enjoy your morning cuppa! Three bedrooms with 1 x King in the master bedroom, 1 x Queen (and fold out sofa for the kids if required) in the second room and 1 x Queen and 1 x single in the third downstairs bedroom. 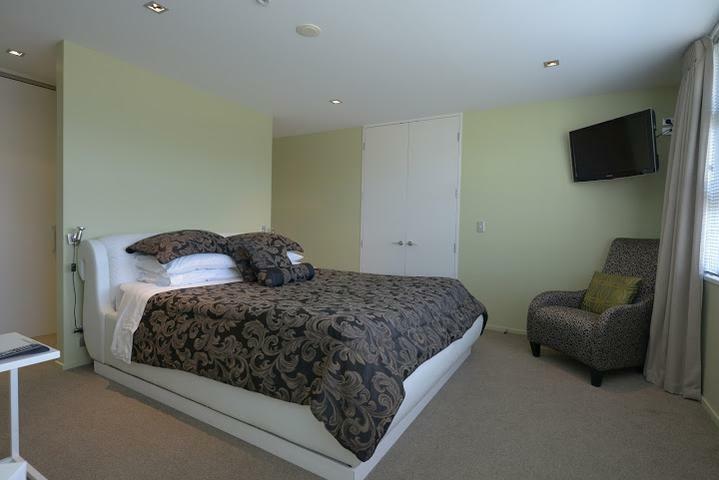 Each bedroom has its own ensuite providing total privacy for all guests. 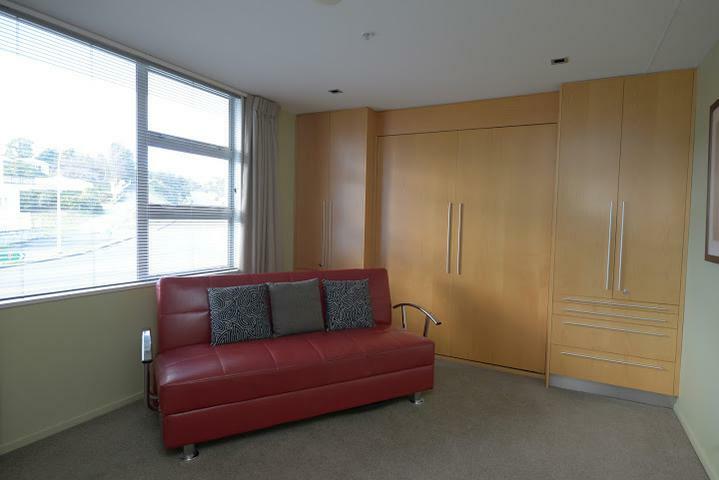 This property also provides plenty of parking and a secure lock up garage. You will be booking your next holiday here before this one comes to an end! 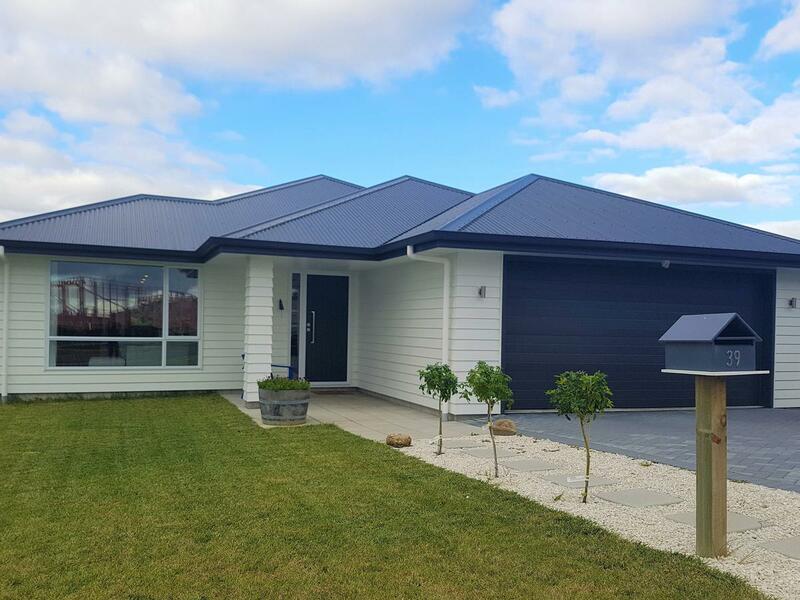 Find true luxury in this three bedroom beautiful home located in tranquil Acacia Bay. With an open fire place and heat pump you will be warm and toasty in winter and kept cool in Summer. 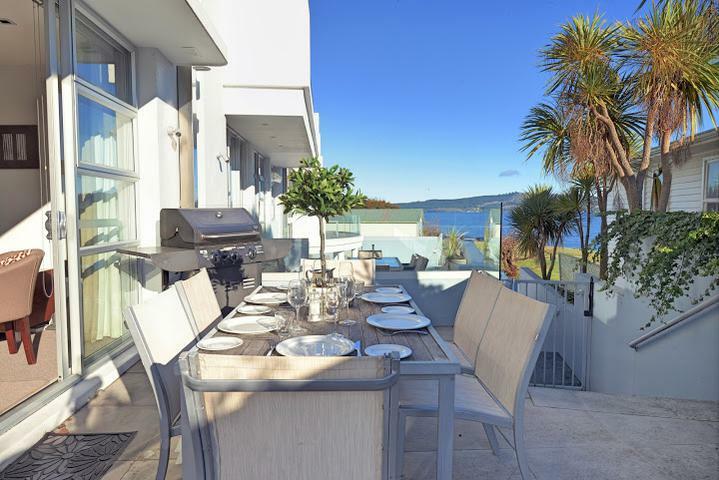 Spend your evenings on the front deck gazing out across the beautiful Acacia Bay or shelter in the back patio area cooking the bbq with friends and family. This home is the perfect haven for couples, a group of friends and families alike. Featuring a stunning kitchen with all the bells and whistles and gorgeous views being in the kitchen on holiday won’t be a problem. Feel free to ask us about arranging a chef if you so wish. 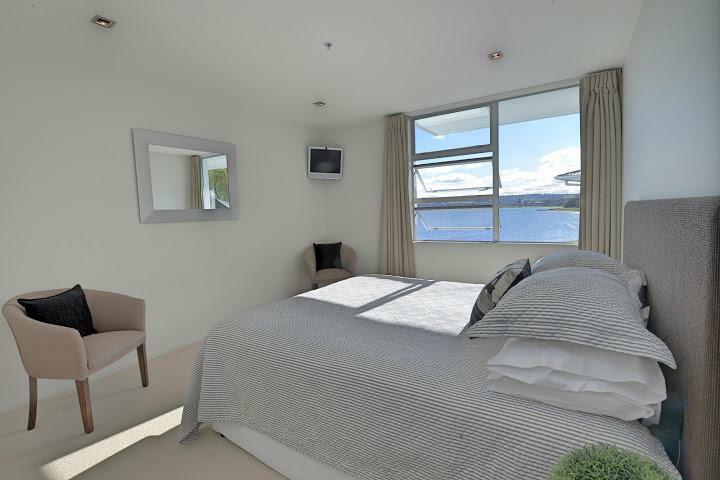 The master bedroom has first class views – what away to enjoy your morning cuppa! Three bedrooms with 1 x King in the master bedroom, 1 x Queen (and fold out sofa for the kids if required) in the second room and 1 x Queen and 1 x single in the third downstairs bedroom. 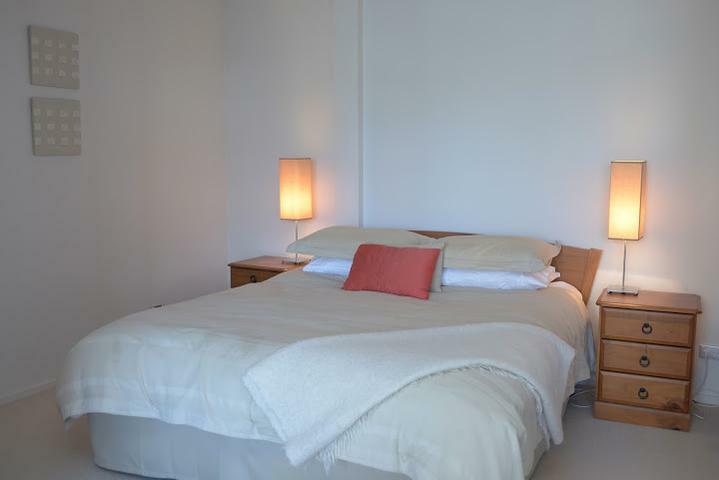 Each bedroom has its own ensuite providing total privacy for all guests. This property also provides plenty of parking and a secure lock up garage. You will be booking your next holiday here before this one comes to an end! Double garage plus off street parking. Just a 2 minute walk to the lake, this private and cozy unit plus sleep-out can sleep up to 6 guests. With 2 bedrooms including sleep-out, 1 bathroom, small kitchenette, spacious living and dining area, front-yard, WiFi and SKY TV, this makes for the perfect getaway for couples or small families. Less than 5 minutes drive to Taupo Town Centre where you will be spoiled for choice with lovely restaurants, cafe’s and boutique stores. Just a 2 minute walk to the lake, this private and cozy unit plus sleep-out can sleep up to 6 guests. With 2 bedrooms including sleep-out, 1 bathroom, small kitchenette, spacious living and dining area, front-yard, WiFi and SKY TV, this makes for the perfect getaway for couples or small families. Less than 5 minutes drive to Taupo Town Centre where you will be spoiled for choice with lovely restaurants, cafe’s and boutique stores. When space is important Muritai House is the pick of the bunch. House is an understatement - perhaps we should be calling this Muritai Castle. With panoramic lake and mountain views, a thermal plunge pool, 7 bedrooms, 5 bathrooms, two kitchens, extensive decks and did I mention all completely renovated to the highest standard with you as guests in mind we are not sure there is much more you could wish for. This home is the perfect meeting point to gather with friends and family and make memories. 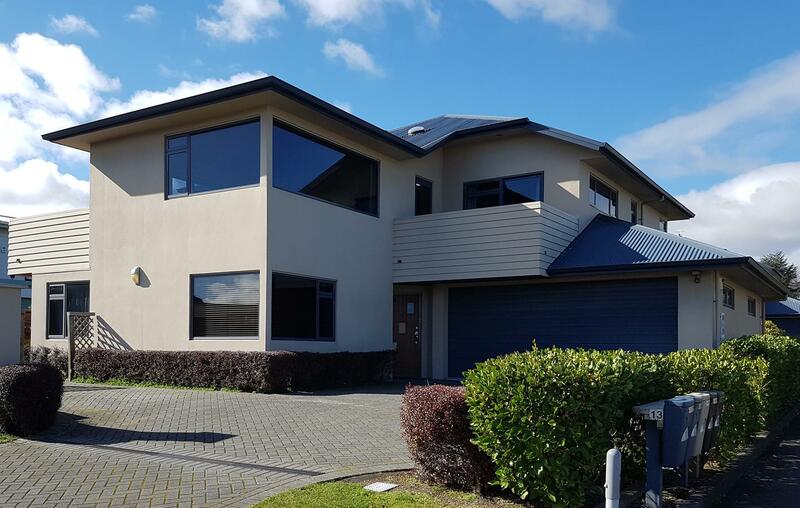 Just a two minute walk to the shores of Lake Taupo, five minute walk to a popular restaurant and dairy or take the car and you will be in town in less than 6 minutes. When space is important Muritai House is the pick of the bunch. House is an understatement - perhaps we should be calling this Muritai Castle. With panoramic lake and mountain views, a thermal plunge pool, 7 bedrooms, 5 bathrooms, two kitchens, extensive decks and did I mention all completely renovated to the highest standard with you as guests in mind we are not sure there is much more you could wish for. This home is the perfect meeting point to gather with friends and family and make memories. 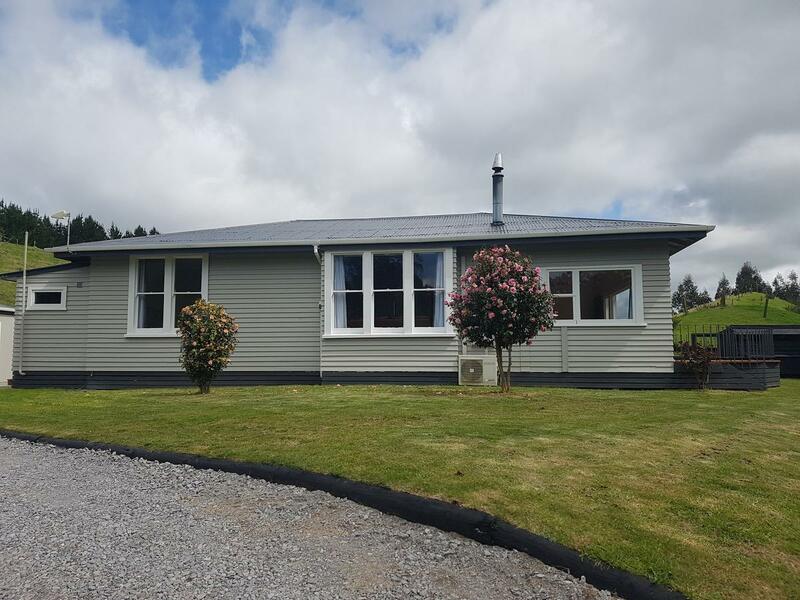 Just a two minute walk to the shores of Lake Taupo, five minute walk to a popular restaurant and dairy or take the car and you will be in town in less than 6 minutes. It will be hard not to fall in love with this delightful and modern 4 bedroom, 2 bathroom home in sought after Botanical Heights. Beautifully presented and spacious, you won't want to leave! This immaculate property truly is the perfect home-away-from-home! Boasting a generous sized kitchen and dining area, plus 4 bedrooms, 2 bathrooms (including master bedroom ensuite), 2 separate living areas, partial lake views and sun-deck. Equipped with everything you need to make for an enjoyable holiday with family & friends, including SKY (basic & sport), WiFi, dishwasher, heat-pump, air-con, BBQ and entertaining area. Linen and exit clean is provided in your nightly rental! It will be hard not to fall in love with this delightful and modern 4 bedroom, 2 bathroom home in sought after Botanical Heights. Beautifully presented and spacious, you won't want to leave! Access to this property is self-entry. You will be sent the self-entry details two days prior to your arrival. You are asked to leave the property as you find it when you depart. All dishes done and put away, rubbish in the allocated area and furniture returned to the original positions. 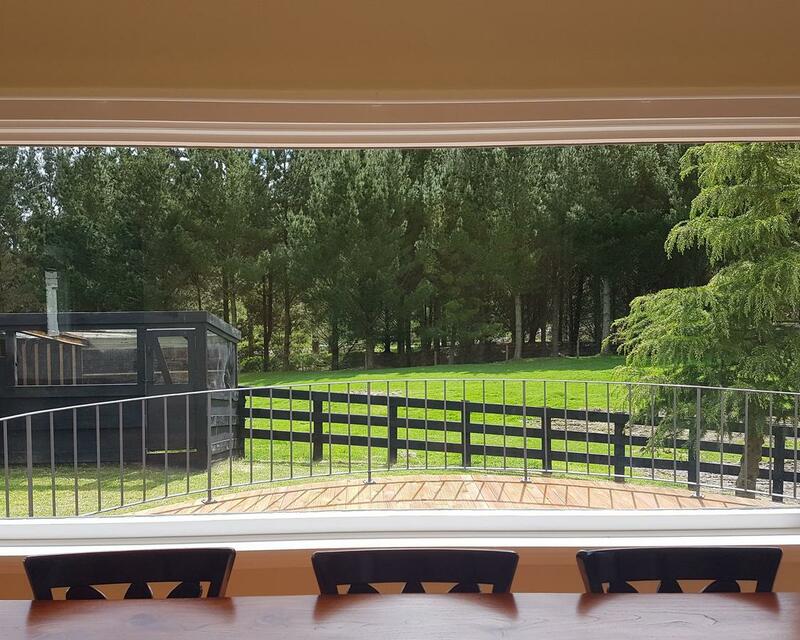 This is the ultimate place to enjoy a countryside getaway while still being close to town (only a 12 minute drive to Taupo Town Centre). Boasting 4 bedrooms and 2 bathrooms, this rural-retreat is surrounded by lush green hills and paddocks. Enjoy the farm views and fantastic outdoor living from the sun-drenched deck and backyard. There are 3 bedrooms inside The Farmhouse, with an additional sleep-out that can sleep a further 3 guests. 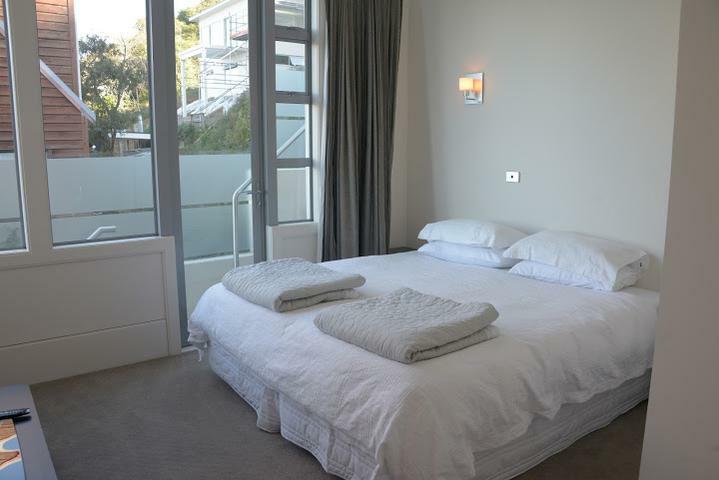 Each bedroom in the house has a king size bed which can be split to form 2x single beds if required. The sleep-out has a set of bunks with a queen bed on the bottom and a single on the top. This property gets plenty of sun in summer, but also has a heat-pump and fireplace to keep you toasty in winter. Make use of the spare paddock and bring your horse on holiday too! All linen is provided and upon departure, please can you ensure all dishes are done (dishwasher emptied) and all rubbish is removed. The house needs to be left in a tidy state please. Three bedrooms plus a sleep out. Sleep out has one set of bunks which is a single on top and double on the bottom. This three bedroom lavishly furnished home is the ultimate place for you to spend your precious time out. Located right on Lake Terrace with uninterrupted lake and mountain views you will not want to leave – and when you do you will want to book your next holiday here right away! With three bedrooms each with Queen beds, fully equipped kitchen, two big screen tv’s, SKY, WIFI, front and rear decks as well as a spa pool you will think there is not much more you could possibly want, but wait there is more . 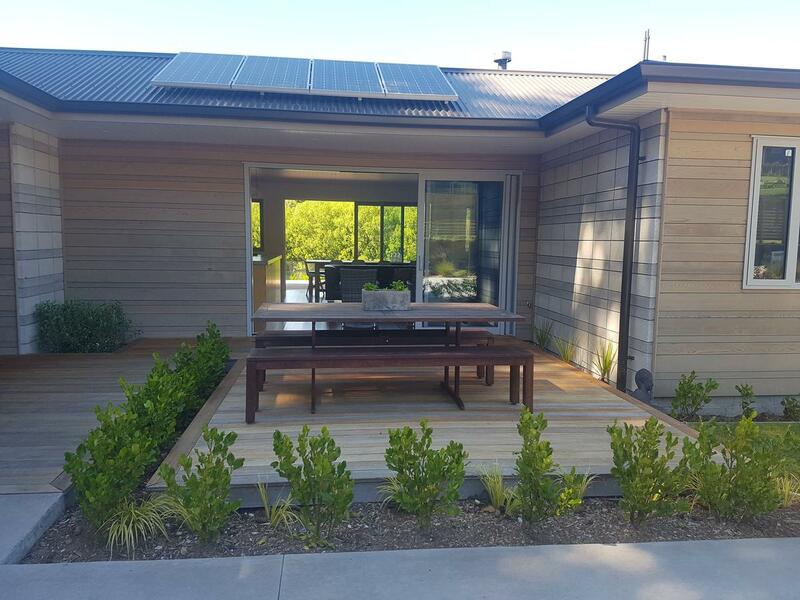 . . the ultimate entertainer’s outdoor area including large screen tv, BBQ and outdoor gas heater will provide the perfect space to enjoy your evenings. This three bedroom lavishly furnished home is the ultimate place for you to spend your precious time out. Located right on Lake Terrace with uninterrupted lake and mountain views you will not want to leave – and when you do you will want to book your next holiday here right away! 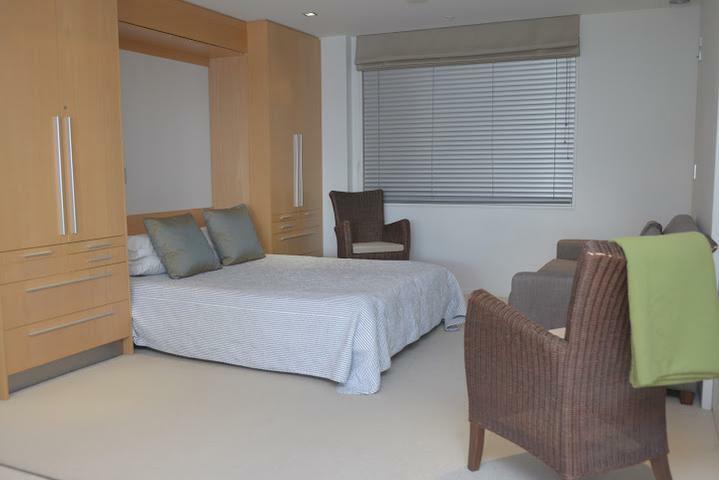 With three bedrooms each with Queen beds, fully equipped kitchen, two big screen tv’s, SKY, WIFI, front and rear decks as well as a spa pool you will think there is not much more you could possibly want, but wait there is more . 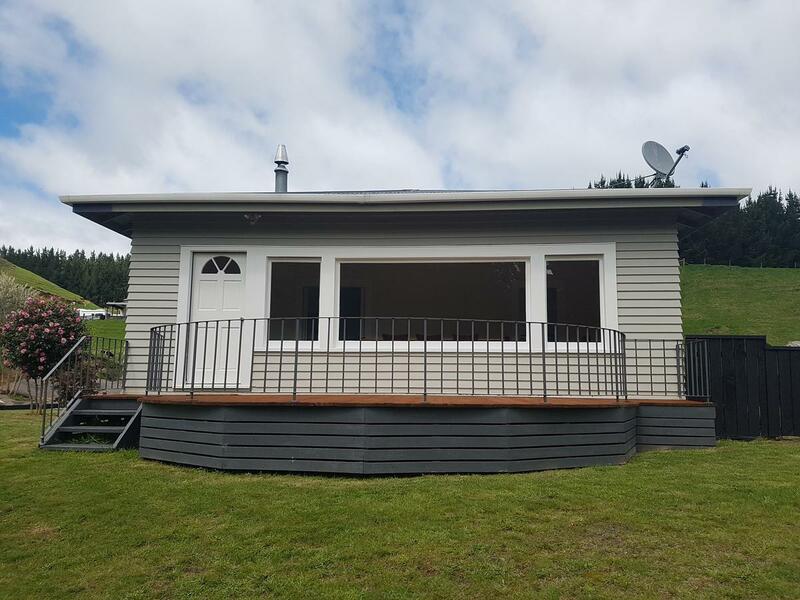 . . the ultimate entertainer’s outdoor area including large screen tv, BBQ and outdoor gas heater will provide the perfect space to enjoy your evenings. Directly across the road from Lake Taupo. Ten minute stroll along the lake to town where you can find an abundance of restaurants, cafes, bars and boutique shops. Ten minute drive to the airport. 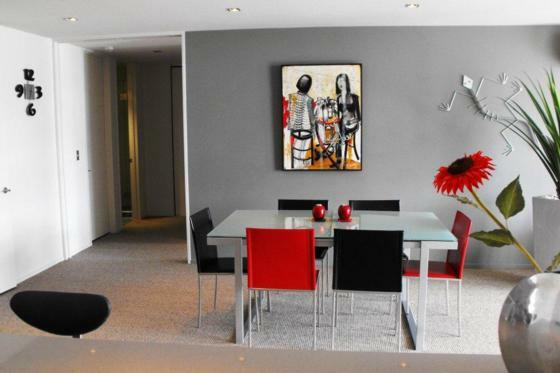 You will relax into holiday mode the moment you walk into this modern holiday townhouse. These adjoining town houses are drenched in sunlight from dawn until dusk and will provide the perfect base for your holiday. Each home features a modern kitchen, open plan lounge & dining spaces and indoor/outdoor flow to the adjoining yet private back yard. Downstairs has the master bedroom with ensuite. Head upstairs to a mezzanine floor with second TV and two further bedrooms and bathroom. Make the most of the Summer afternoons by cranking up the BBQ and enjoying every minute of our long Summer days or by cosying up inside with the fireplace blazing during the Winter months. The maximum occupancy for this well appointed home is 8. You will relax into holiday mode the moment you walk into this modern holiday townhouse. These adjoining town houses are drenched in sunlight from dawn until dusk and will provide the perfect base for your holiday. Each home features a modern kitchen, open plan lounge & dining spaces and indoor/outdoor flow to the adjoining yet private back yard. Downstairs has the master bedroom with ensuite. Head upstairs to a mezzanine floor with second TV and two further bedrooms and bathroom. Make the most of the Summer afternoons by cranking up the BBQ and enjoying every minute of our long Summer days or by cosying up inside with the fireplace blazing during the Winter months. The maximum occupancy for this well appointed home is 8. The bedding configuration is 1 x King, 1 x Queen, 1 x Split King, 1 x double fold out couch located on mezzanine floor. Access to this home is via self entry. You will be sent the self entry instructions two days prior to your arrival. Off street parking for 1 car however you can park another vehicle or two on the grass alongside the house. Off street parking for 1 car however you can park another vehicle or two on the grass alongside the house. Off street parking for 1 car however you can park another vehicle or two on the grass alongside the house. View from Fletcher is the perfect setting for a family or group getaway. 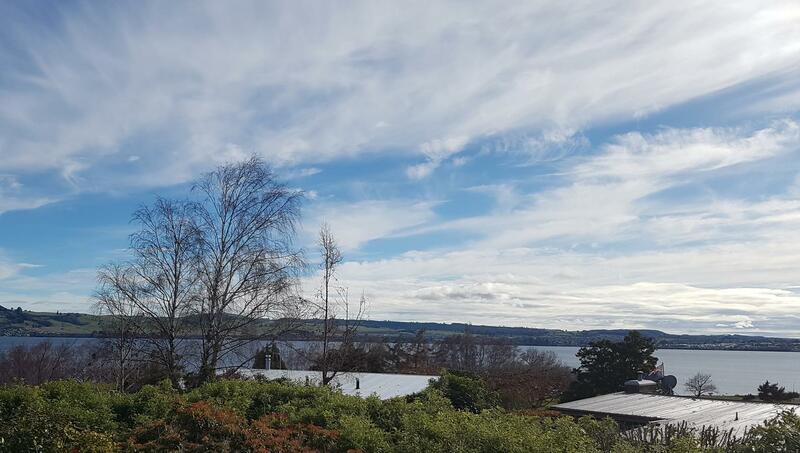 Located just a stones throw from town you can get amongst the hustle and bustle that Taupo Town centre has to offer or relax in your surrounds taking in the stunning views of Lake Taupo and the mountains in the distance. This home is set across two levels with upstairs boasting a large kitchen, dinning area, lounge and two bedrooms. Downstairs offers a kitchenette, second lounge, further two bedrooms and a laundry. Large four bedroom holiday home. Full kitchen upsairs plus a kitchenette downstairs. Two lounge areas. Four bedrooms, two kitchens, two lounges, full laundry. Offstreet parking for three cars. 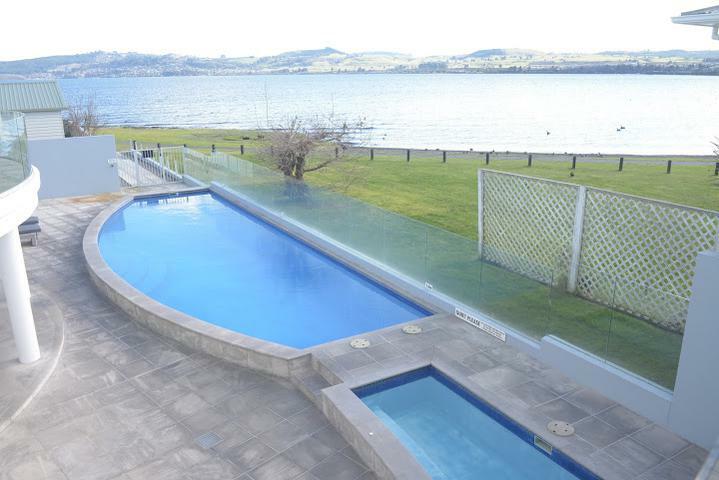 Heated pool – year round thermally heated swimming pool Stunning panoramic lake and mountain views Luxury appointment throughout, internet, 3 digital TVs, 5 leather lounge suites This home is the perfect luxury pad for small groups or a large family wanting to enjoy an amazing Lake Taupo experience. 450 sq. m of family friendly living across 2 stories. Double width 1,141 sq. 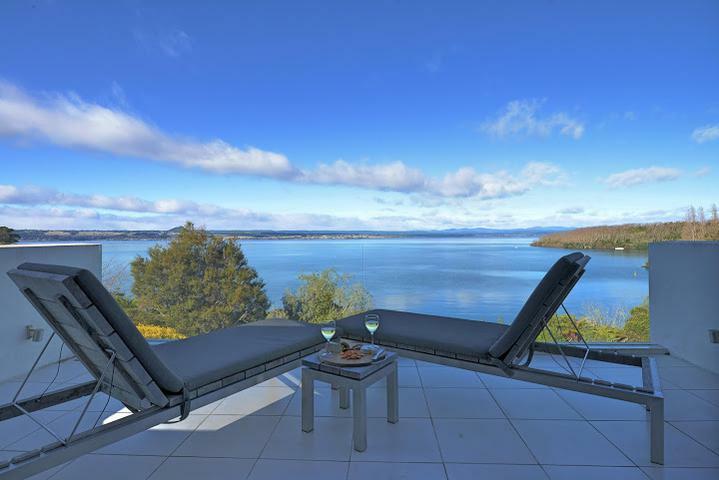 m private section with heated in-ground tiled pool and adjacent gazebo set above Lake Taupo. The 2 upstairs bedrooms each have their own bathroom. Downstairs the master bedroom with a deck overlooking the swimming pool has its own ensuite. The 2 other downstairs bedrooms have a shared bathroom and have their own kitchen/dining living area which opens to a deck overlooking the lake. 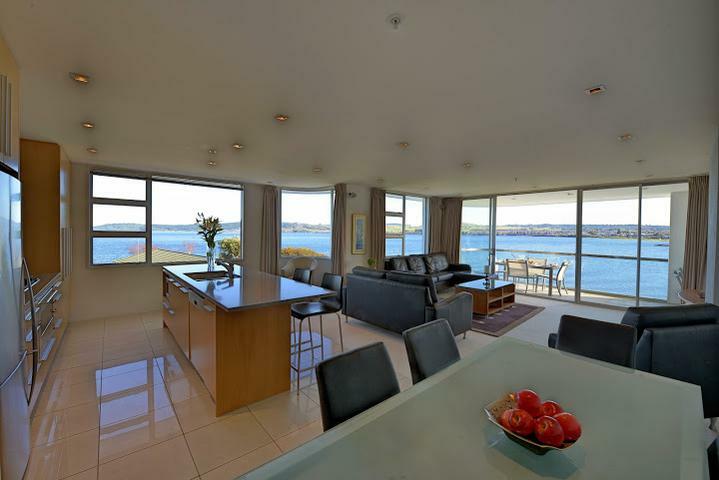 Being in the open plan master kitchen won’t be hard while you are holidaying here. This kitchen has everything you need for your stay including a Nespresso coffee capsule machine. The adjacent spacious living room at one end of the home is comfortably furnished and captures the mountain vista as well as the view along the lakefront to the west towards the town. The adjacent large dining room at the other end of the house also has lake views and seating for 12 guests. 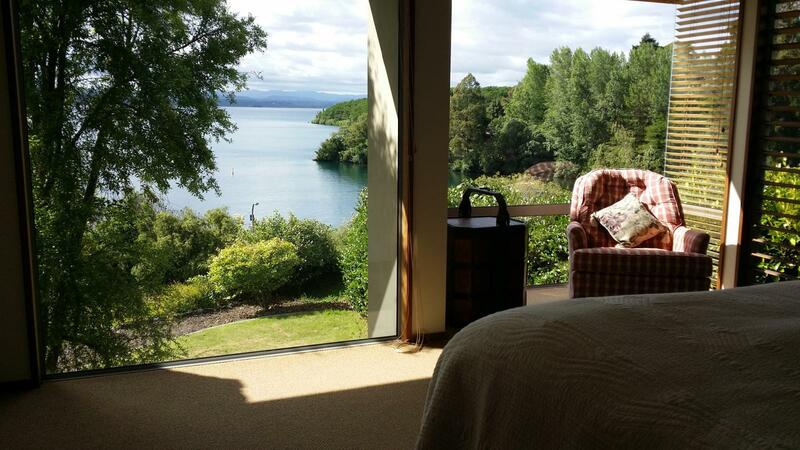 All living areas open to decking with spectacular views over the lake. This home would be the perfect setting for a family gathering, work functions, small wedding or a special celebration (by prior arrangement only). This home would be the perfect setting for a family gathering, work functions, small wedding or a special celebration (by prior arrangement only). 1 x King, 1 x Super King, 1 X Queen, 2 x Single, 2 x Single. Imagine spending your holiday in a special place with some of the best views you will find in the world. View from on top is that special place! A 320 square meter recently renovated home. With plenty of space this home would be a great place to spend with the extended family or catch up with friends. With 6 bedrooms and four bathrooms there is plenty of room. Alternatively, treat that someone special to time away in this amazing home, couples will love this just as much as groups. A large kitchen with double oven, dishwasher and plenty of cutlery & crockery will make being in the kitchen during your stay easy. Separate dining and lounge areas both open out to outdoor areas. 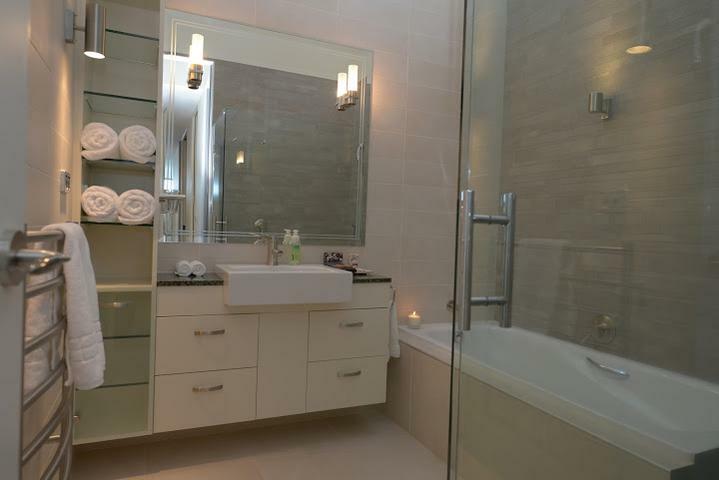 Upstairs you will find the master bedroom with an ensuite including a spa bath. The second upstairs bedroom has two single beds. On the lower level is the kitchen, lounge, dining room and four bedrooms. Three bedrooms each have a queen bed and the fourth is a bunkroom with one double bed and three singles. The house has four bathrooms so makes hosting a large group easy. Perhaps you are looking for a place to hold your pre/post wedding lunch, family reunion, wedding anniversary, small wedding or another special occasion. We are happy to work with you so feel free to touch base and we can discuss how this great home would work when it comes to hosting a special occasion. Perhaps you are looking for a place to hold your pre/post wedding lunch, family reunion, wedding anniversary, small wedding or another special occasion. We are happy to work with you so feel free to touch base and we can discuss how this great home would work when it comes to hosting a special occasion. 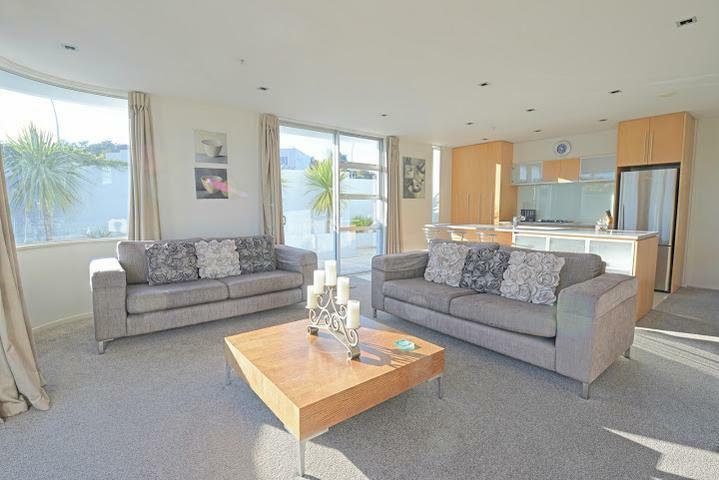 This one bedroom modern apartment with an additional fold out queen sofa bed is just a stones throw from the shores of Lake Taupo. 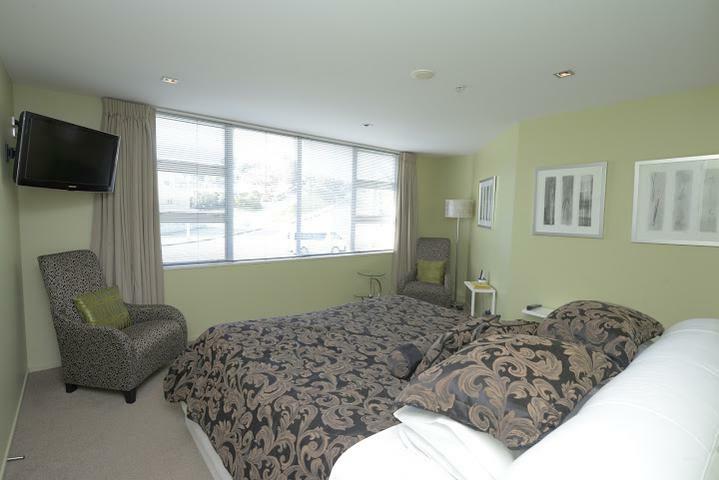 A great affordable option for your time in Taupo. Get active heading out and about enjoying the many activities, golf courses, boutique shops, restaurants, cafes, tramps and hikes that Taupo has to offer. Or simply rest and relax at your apartment. This 55m2 apartment is totally self contained so you can lock yourself away and simply enjoy some time out if you choose. Fully fenced swimming pool, on site car parking. Sometimes holidays feel like they are over too quickly but memories are forever and this spacious holiday home is a great place to make those long lasting memories. 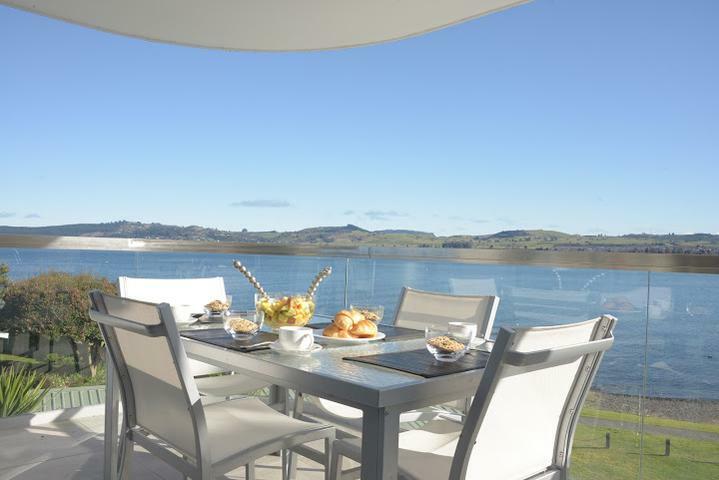 Located in sought after Wharewaka this is the perfect location for your lakeside holiday. 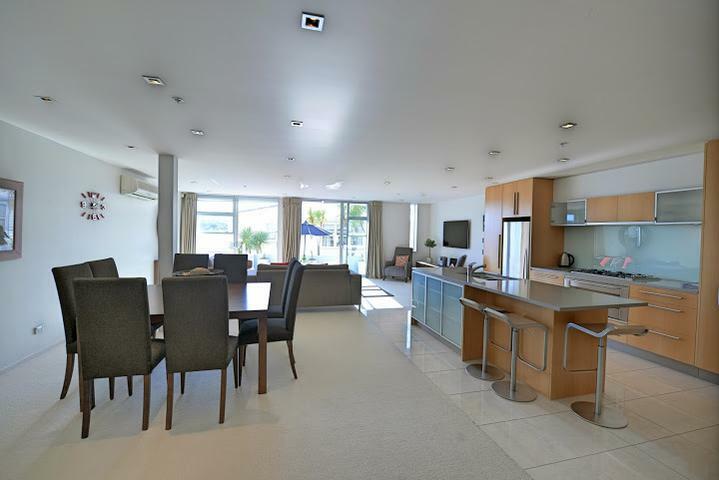 You can enjoy views from the open plan kitchen, living, dining and large deck area across the lake back towards town. 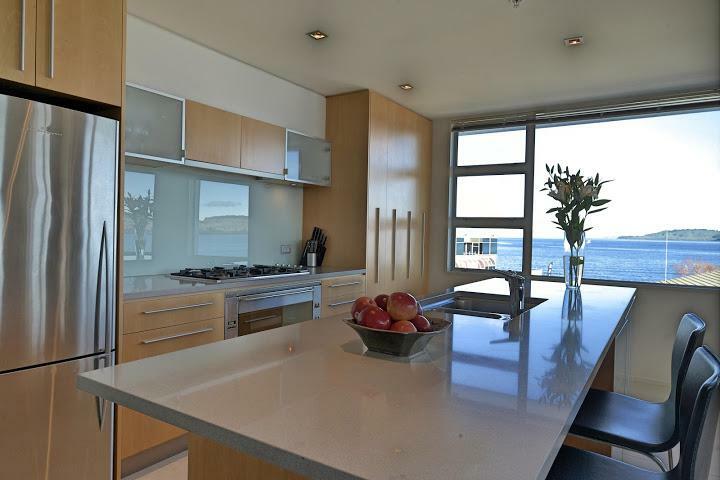 Upstairs has a modern kitchen, spacious lounge and dining area that all flow out onto a sun soaked deck. Downstairs has a rumpus room plus three bedrooms. Plenty of off street parking however no access to the garage through the garage door as it does not open. This three bedroom holiday home is the perfect place to enjoy your family holiday or catching up with friends. 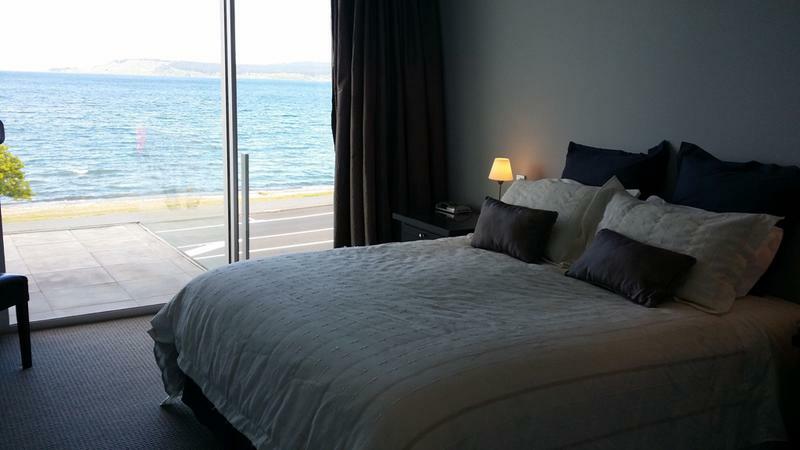 Located just a short walk from the beautiful shores of Lake Taupo and just two blocks from town you can park the car and walk everywhere. 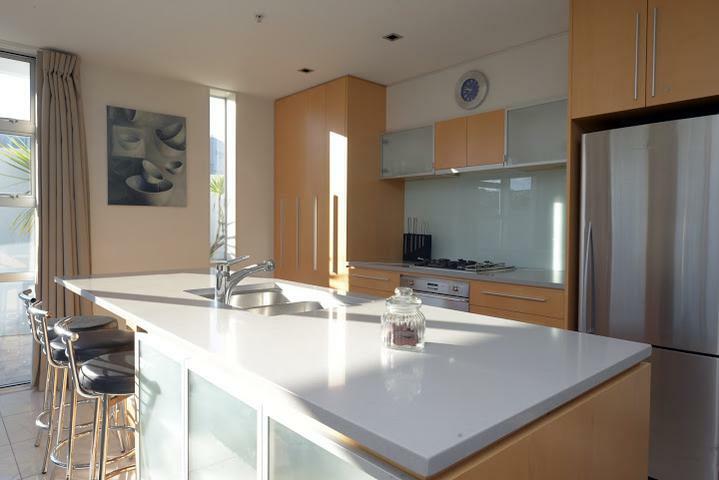 The kitchen, lounge and dining areas treat you to gorgeous lake and mountain views. 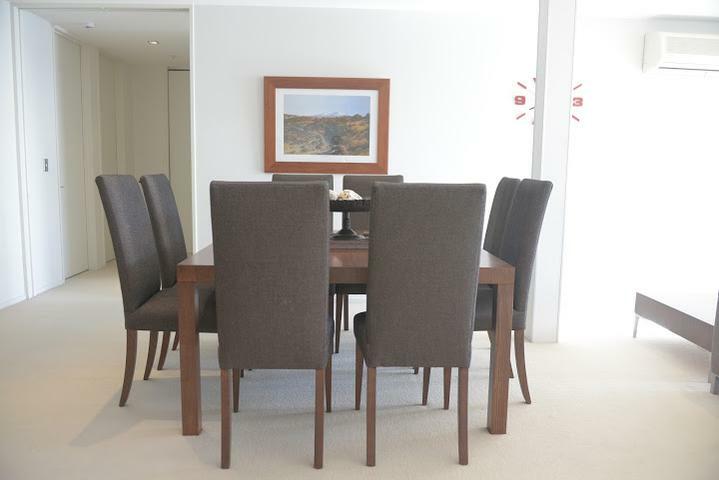 With 3 bedrooms and 2 bathrooms, there is ample space for 2 families to holiday together! Spa pool, SKY and WiFi are provided free of charge. No hidden costs! All bedding, linen & exit clean is included in your nightly rate! A real honey for your money. 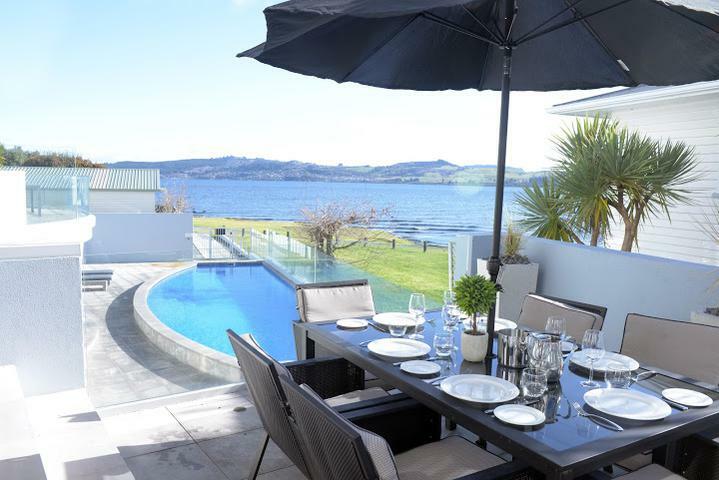 Spend your days enjoying everything that Taupo has on offer then retreat to the house to self cater in the fully equipped kitchen or take a short walk into town and take your pick from the extensive range of dining options. The house has been purposely set up for you to make yourself at home and enjoy some much deserved R&R. This three bedroom holiday home is the perfect place to enjoy your family holiday or catching up with friends. 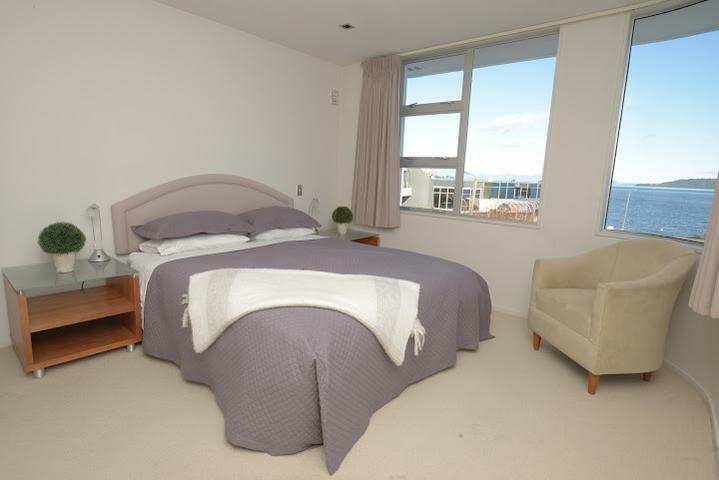 Located just a short walk from the beautiful shores of Lake Taupo and just two blocks from town you can park the car and walk everywhere. 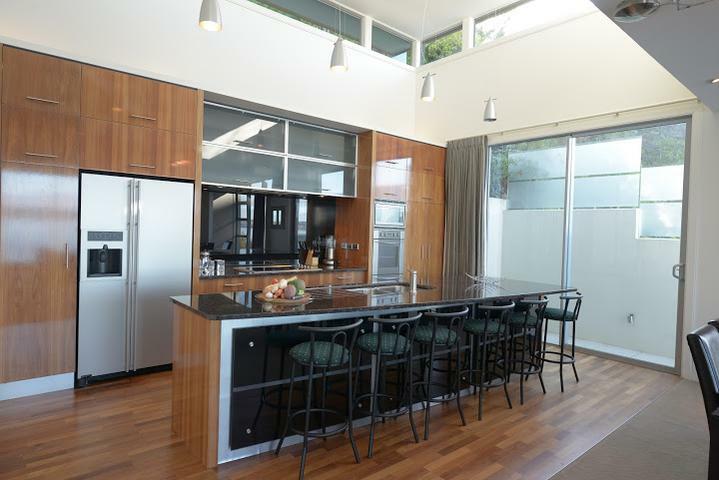 The kitchen, lounge and dining areas treat you to gorgeous lake and mountain views. 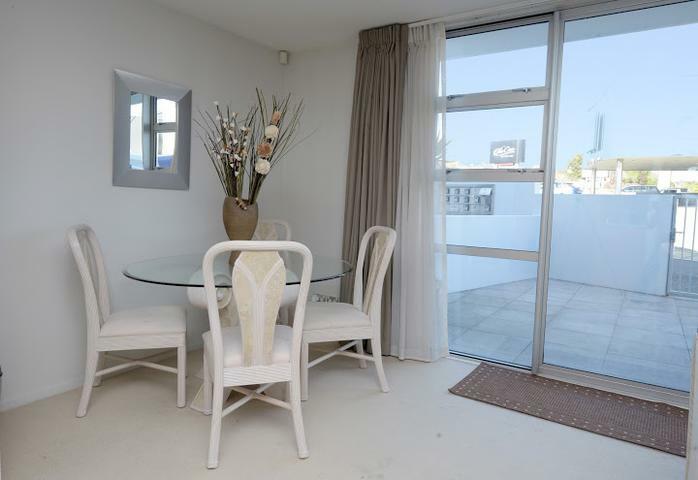 With 3 bedrooms and 2 bathrooms, there is ample space for 2 families to holiday together! Spa pool, SKY and WiFi are provided free of charge. No hidden costs! All bedding, linen & exit clean is included in your nightly rate! A real honey for your money. 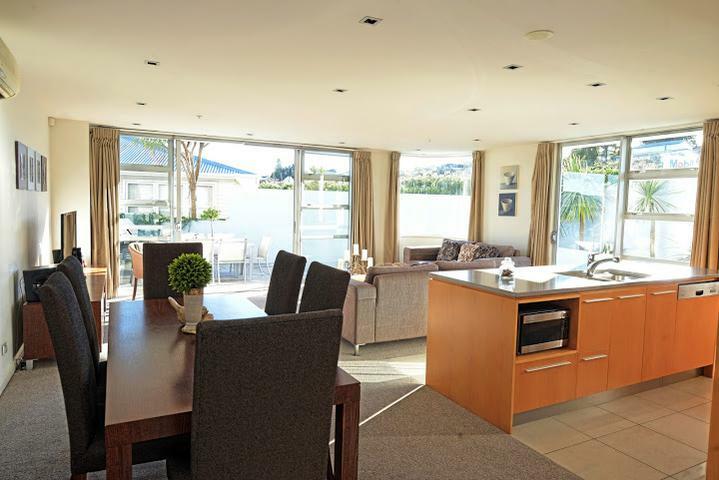 Spend your days enjoying everything that Taupo has on offer then retreat to the house to self cater in the fully equipped kitchen or take a short walk into town and take your pick from the extensive range of dining options. The house has been purposely set up for you to make yourself at home and enjoy some much deserved R&R. 1 car garage plus off street parking for 2 vehicles. This property is accessed via self-entry. You will be sent the self-entry details two days prior to your arrival once payment has been taken from your credit card. 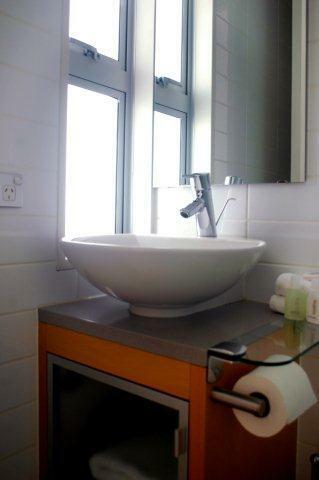 The property is not serviced during your stay however will be cleaned on departure. We ask that you put all furniture back to the original position and leave the house in a tidy manner. 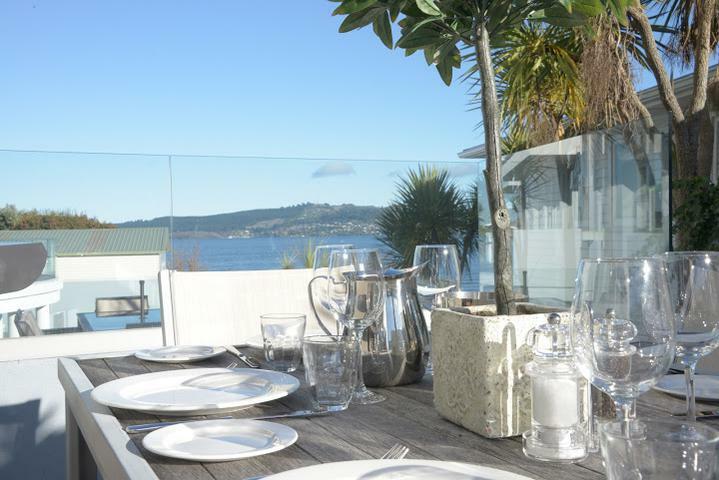 LakeEscape offers a warm welcome whatever the reason for your Taupo escape - a bunch of old friends catching up, an adventurous weekend of activity or families needing a meeting place to reminisce or celebrate. LakeEscape is versatile for whatever your needs are. Modernly designed and presented, there’s a little luxury for everyone. Relax in the spa, cook a barbecue in the gorgeous outdoor entertaining space and let the kids explore in the safety of the fenced back garden. Indoors, you’ll love the spectacular views of the mountains and lake. Another perfect spot to enjoy them is on the deck sitting with a good magazine, a good friend and a good cup of coffee! 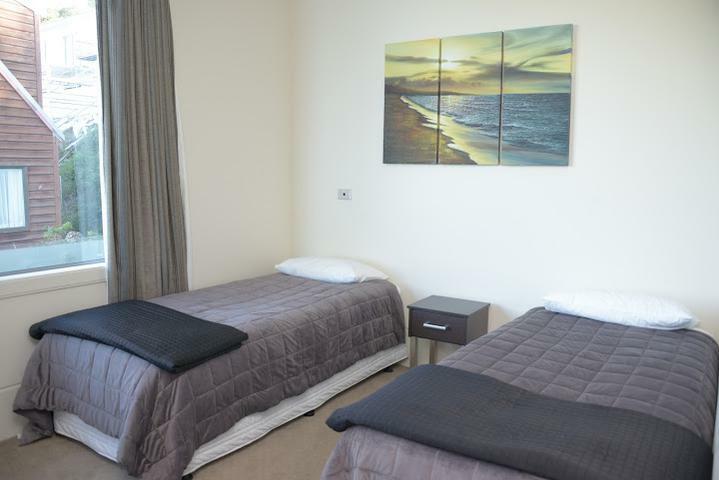 There are 4 spacious bedrooms and 2.5 bathrooms including the master bedroom ensuite bathroom. 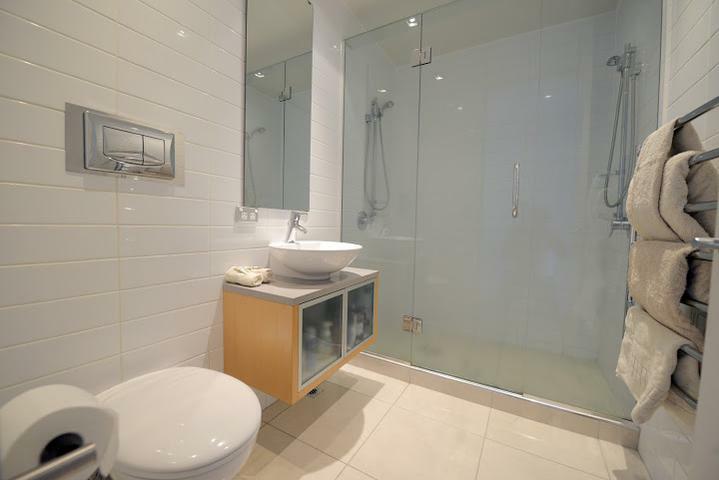 The main bathroom has a bath and a shower. The downstairs bedroom has it's own kitchenette with tea and coffee making facilities. Taupo township is just a 10-15 minute walk away - a stroll home in the evenings after an amazing meal and drinks at one of Taupo’s fine eateries. The lake is equally a comfortable walk away. Everything is close and easy. For a warm and beautifully presented home in an amazing location, book LakeEscape. We’d love to have you stay. 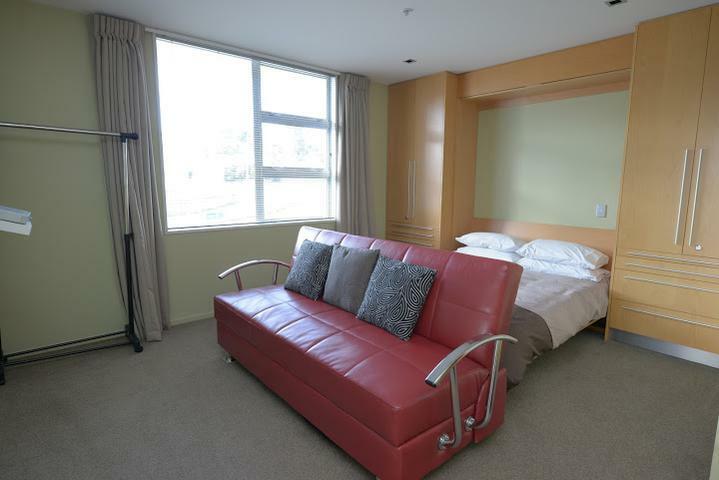 The furniture shown in the photos for LakeEscape differs to our current set-up, although is of a similar high quality. For larger groups of up to 23 people looking for accommodation, LakeEscape and The Lakehouse are located next door to each other and can be booked together as well as individually. 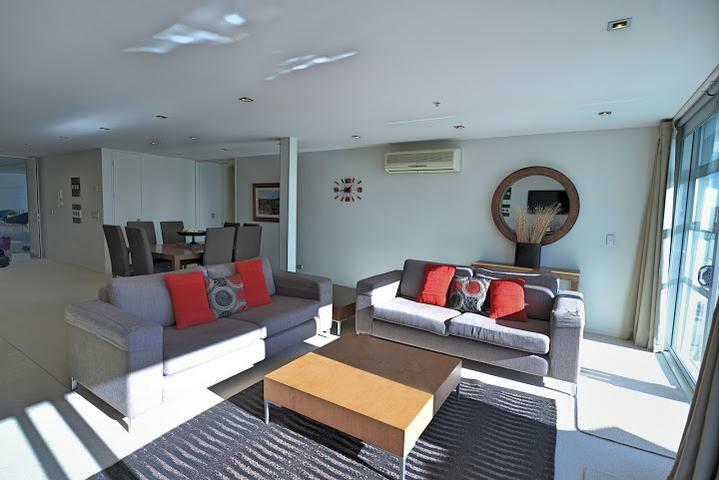 LakeEscape offers a warm welcome whatever the reason for your Taupo escape - a bunch of old friends catching up, an adventurous weekend of activity or families needing a meeting place to reminisce or celebrate. LakeEscape is versatile for whatever your needs are. 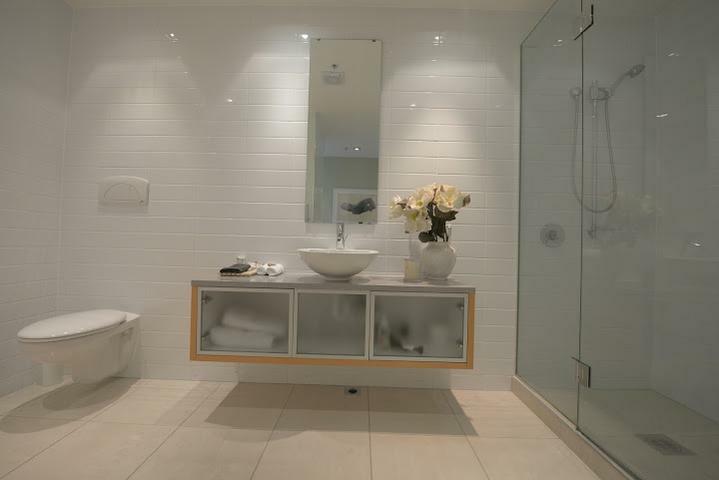 Modernly designed and presented, there’s a little luxury for everyone. Relax in the spa, cook a barbecue in the gorgeous outdoor entertaining space and let the kids explore in the safety of the fenced back garden. Indoors, you’ll love the spectacular views of the mountains and lake. Another perfect spot to enjoy them is on the deck sitting with a good magazine, a good friend and a good cup of coffee! 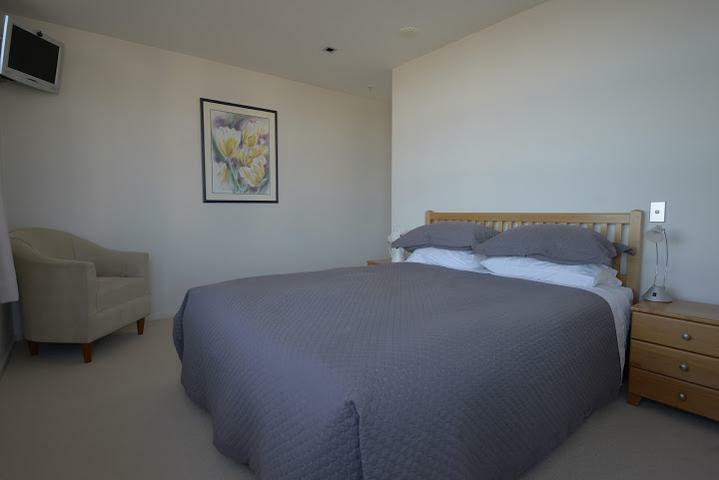 There are 4 spacious bedrooms and 2.5 bathrooms including the master bedroom ensuite bathroom. 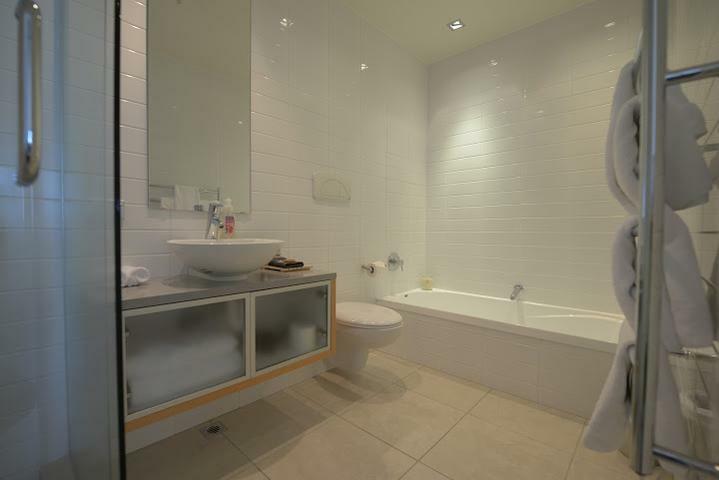 The main bathroom has a bath and a shower. The downstairs bedroom has it's own kitchenette with tea and coffee making facilities. Taupo township is just a 10-15 minute walk away - a stroll home in the evenings after an amazing meal and drinks at one of Taupo’s fine eateries. The lake is equally a comfortable walk away. Everything is close and easy. For a warm and beautifully presented home in an amazing location, book LakeEscape. We’d love to have you stay. The furniture shown in the photos for LakeEscape differs to our current set-up, although is of a similar high quality. For larger groups of up to 23 people looking for accommodation, LakeEscape and The Lakehouse are located next door to each other and can be booked together as well as individually. Garage parking for 2 cars and additional off street parking for 4 cars.